The outlook remains changeable without anything of any note skulking in the woodshed . 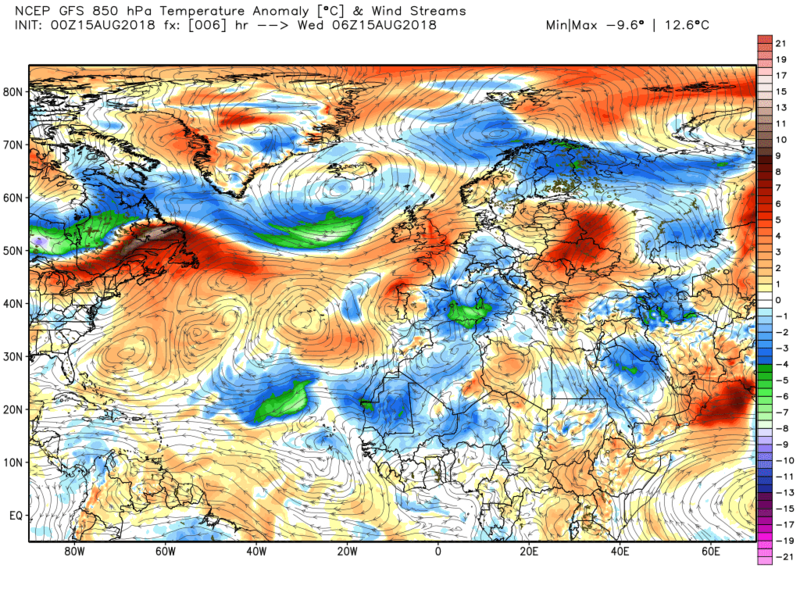 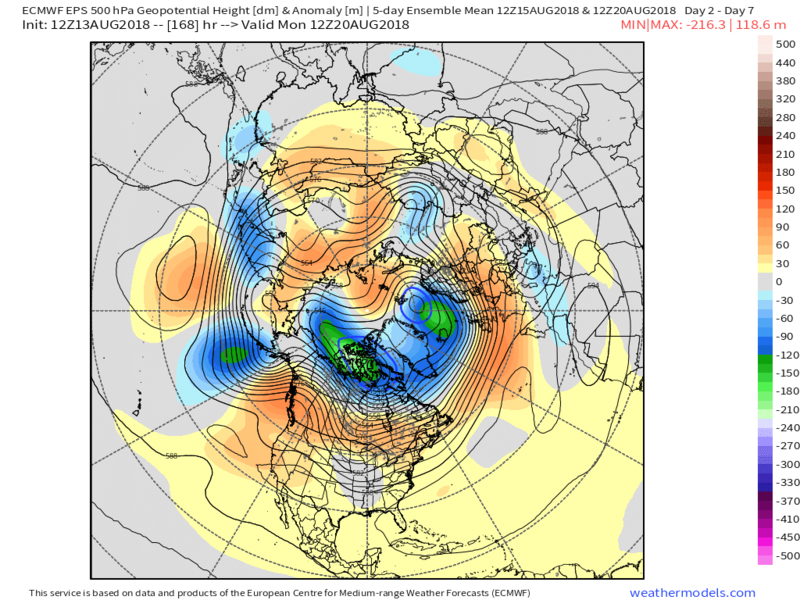 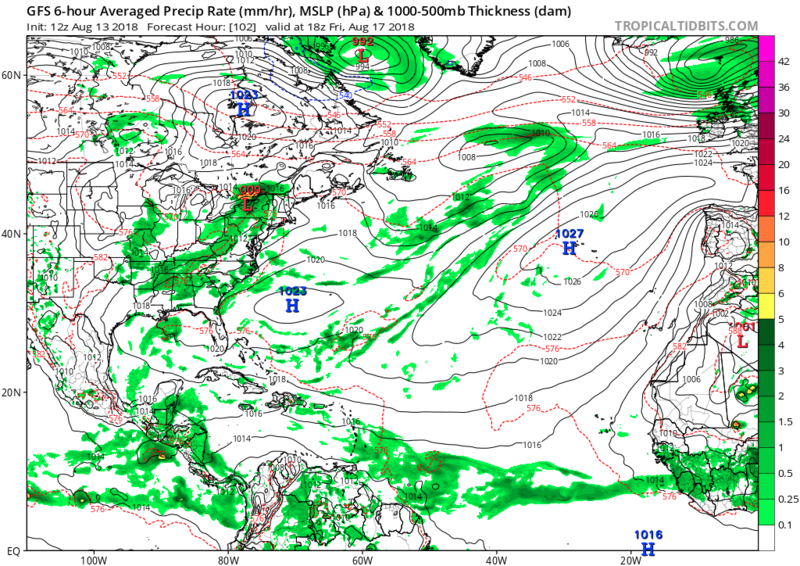 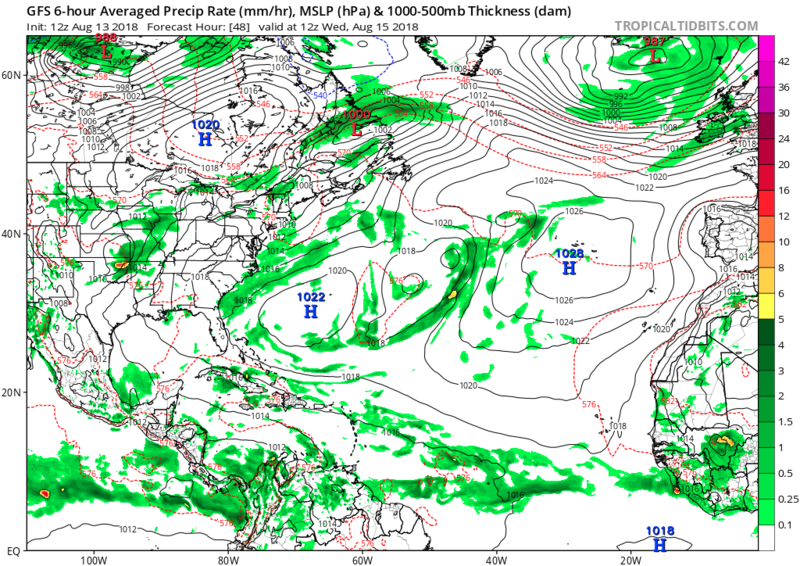 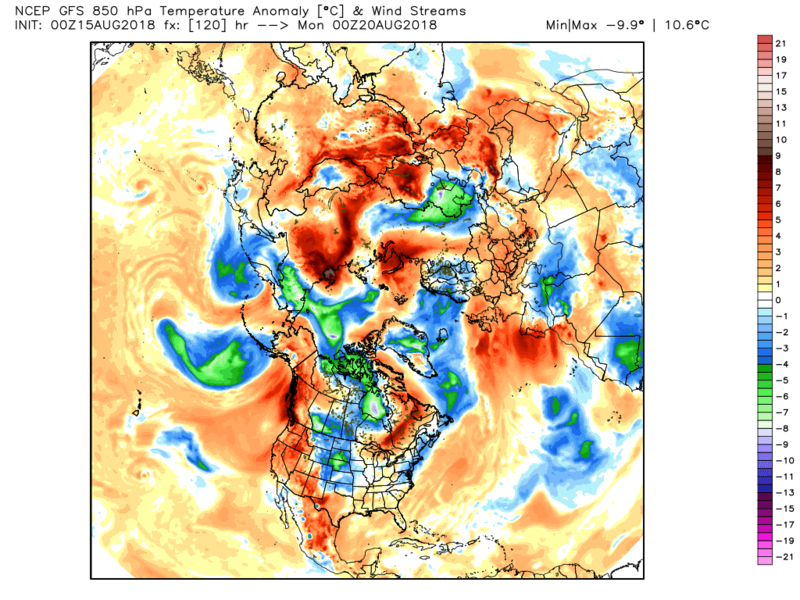 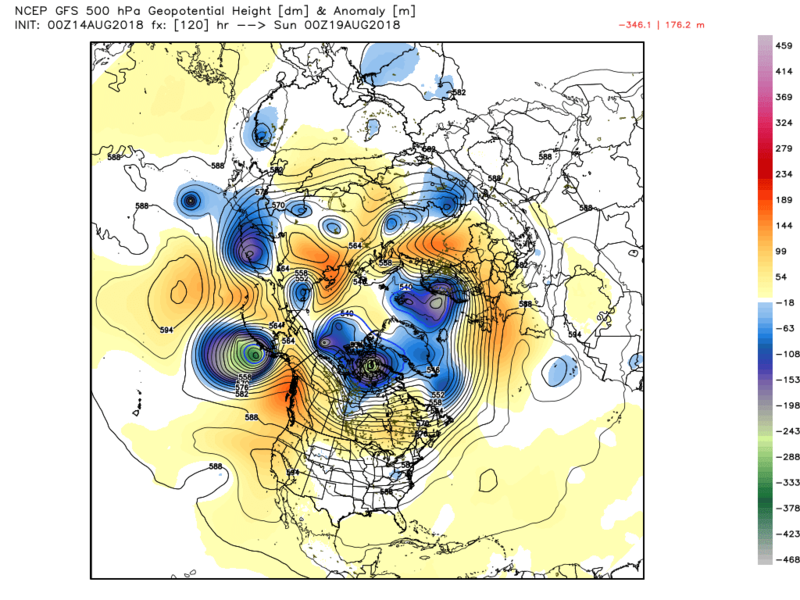 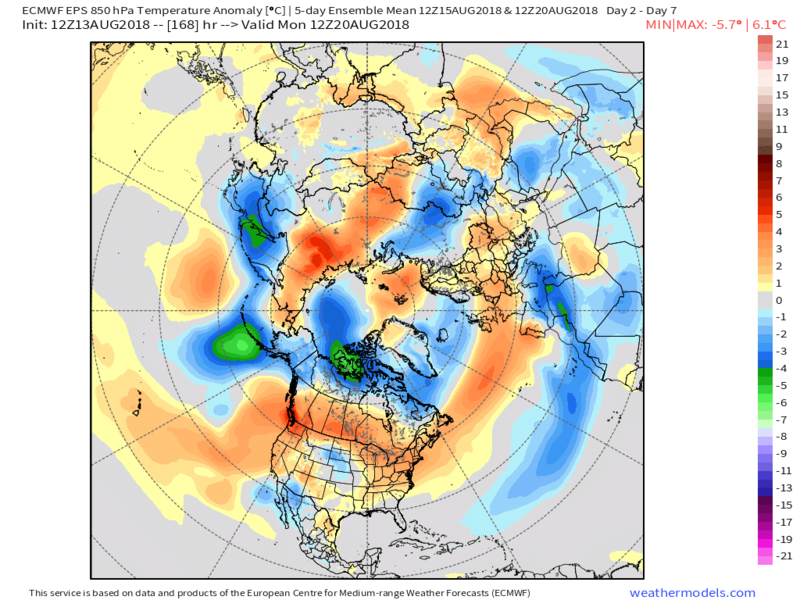 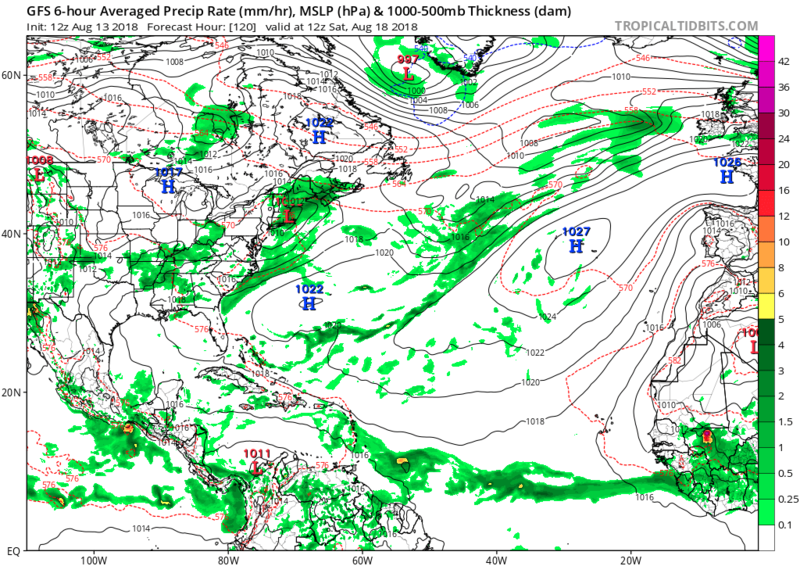 The pattern is quite well illustrated using the EPS short term NH 500mb anomalies for last evening. 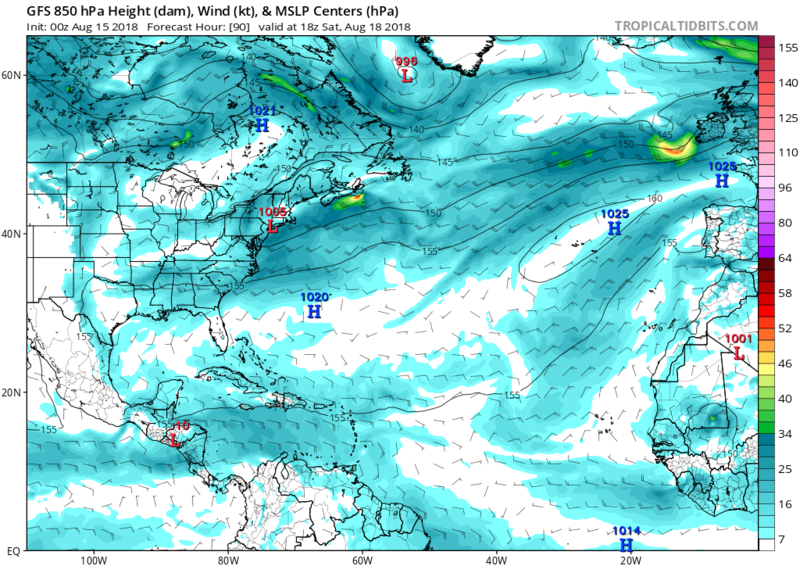 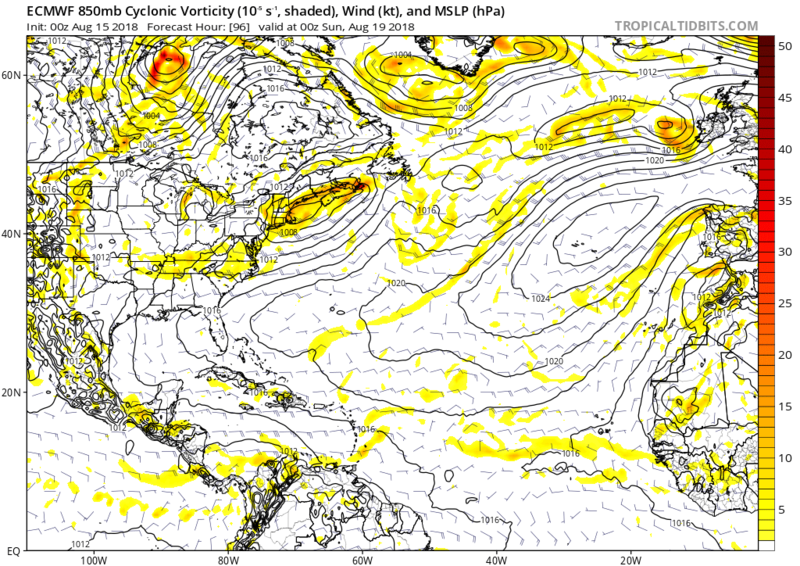 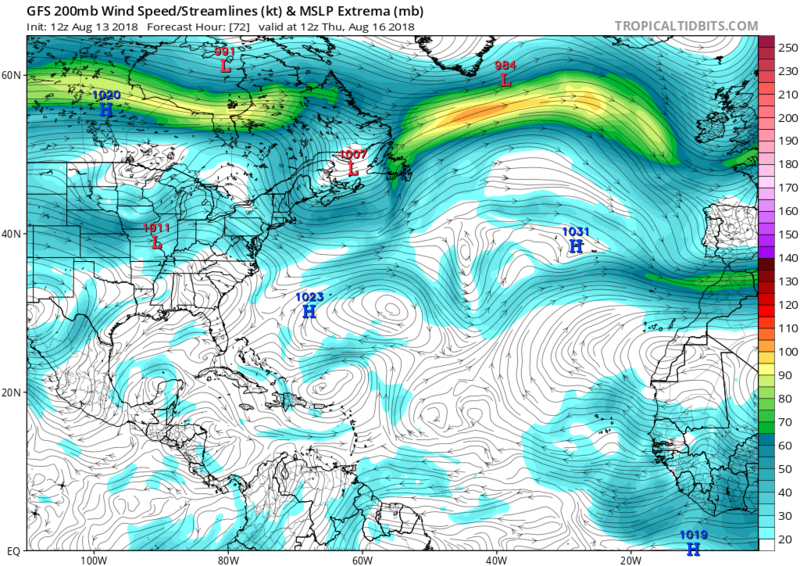 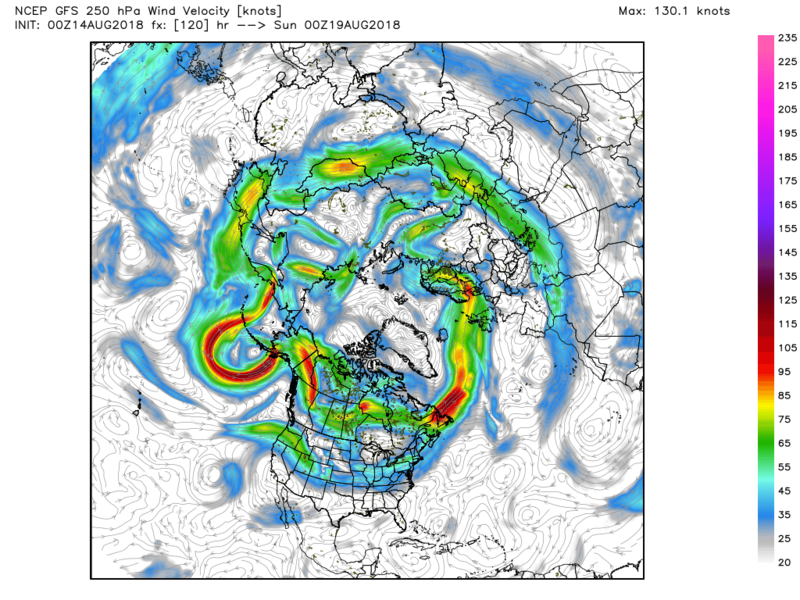 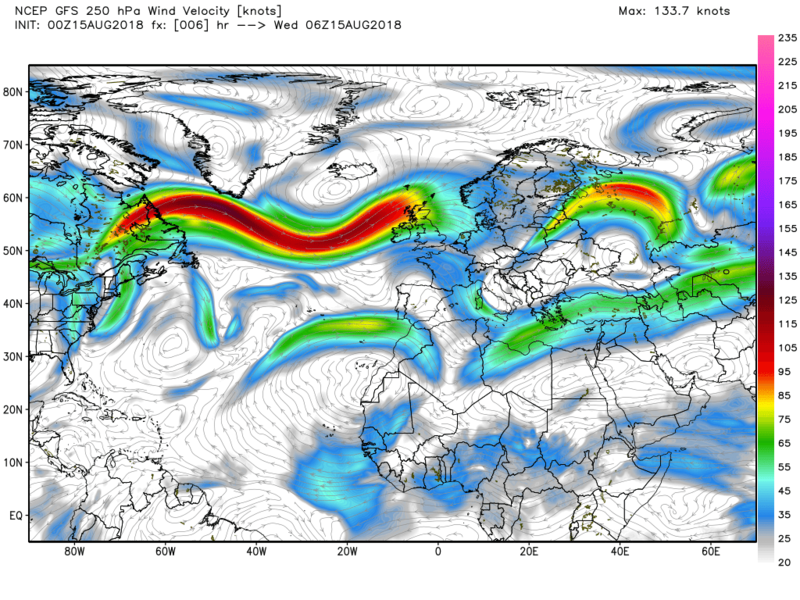 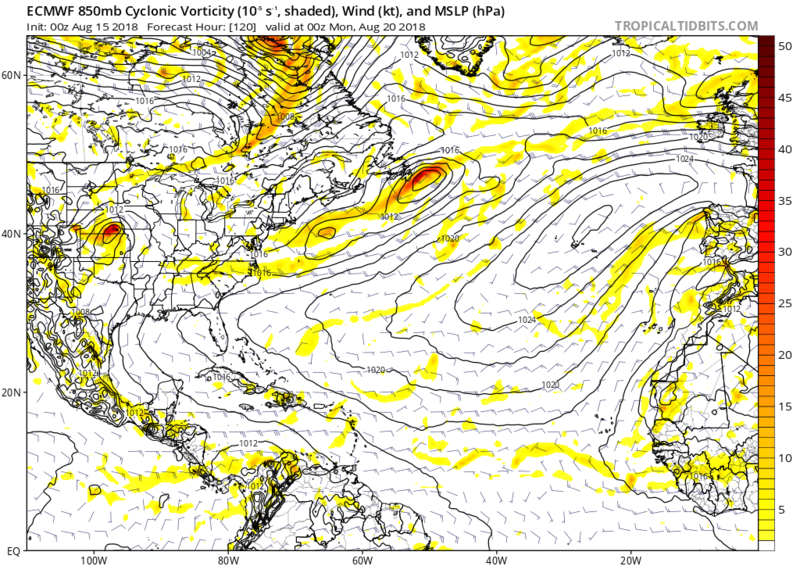 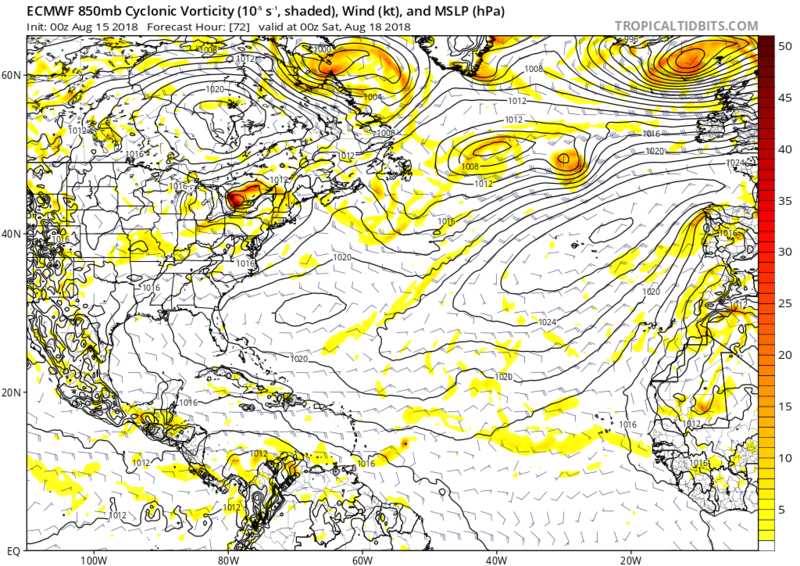 This shows the main vortex lobe N. Canada with subsidiary south of Iceland and with the Atlantic sub tropical high trying to push north this results in a quite strong, but fairly anaemic westerly upper flow with a mainly positive anomaly, But within the main westerly pattern the strong thermal boundary between the air masses (a.k.a the jet stream) will wave as the airmasses phase and thus alternating airmass influences over the UK but tending towards a N/S split and warmer interludes in the south, Thus the changeable weather, The detail of which of course the det. 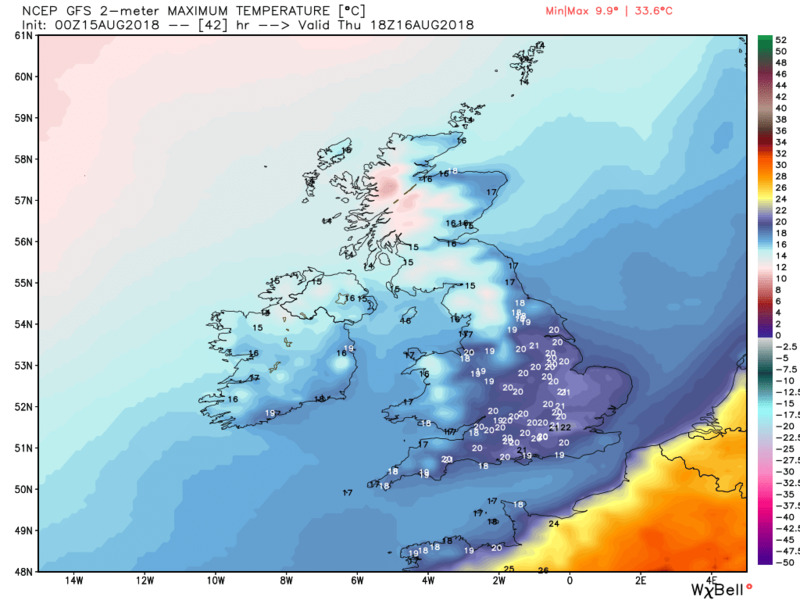 runs sort. 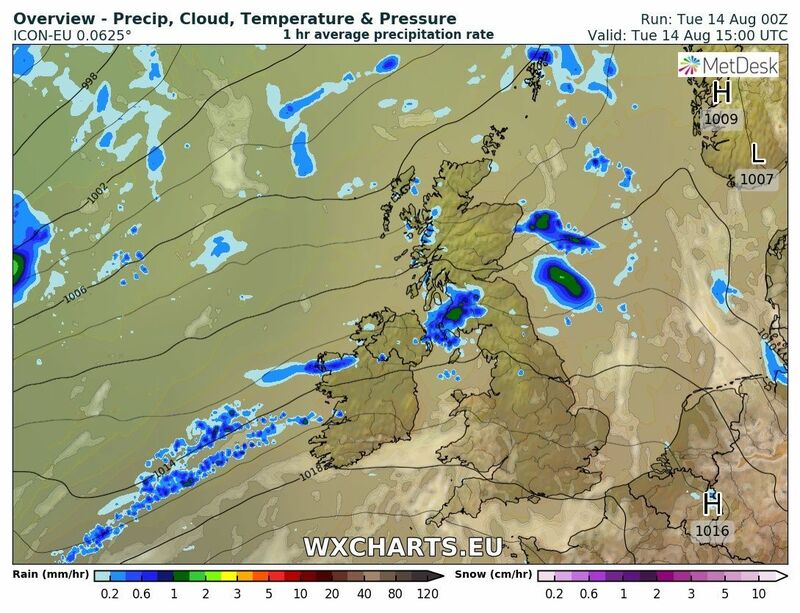 Last evening's storms have dissipated as the upper tough moves east and this morning it is mainly dry but with varying amounts of cloud but more so in the north. 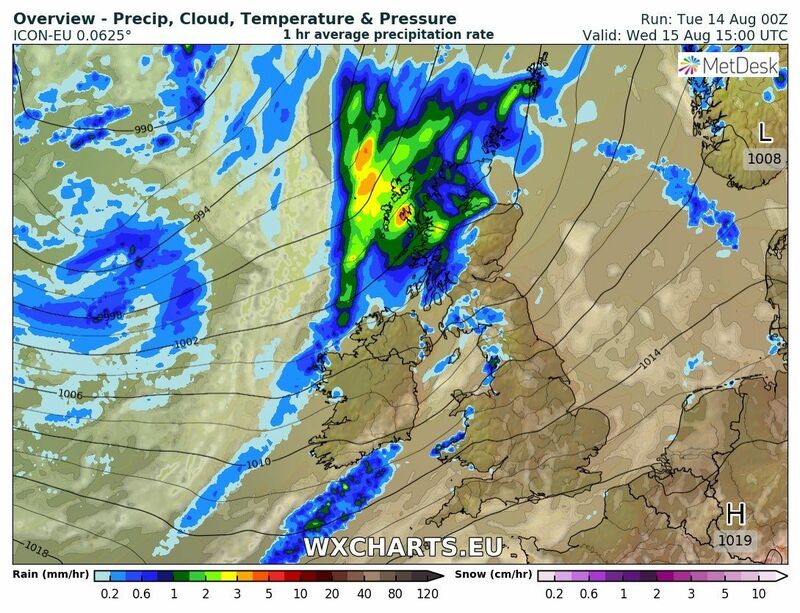 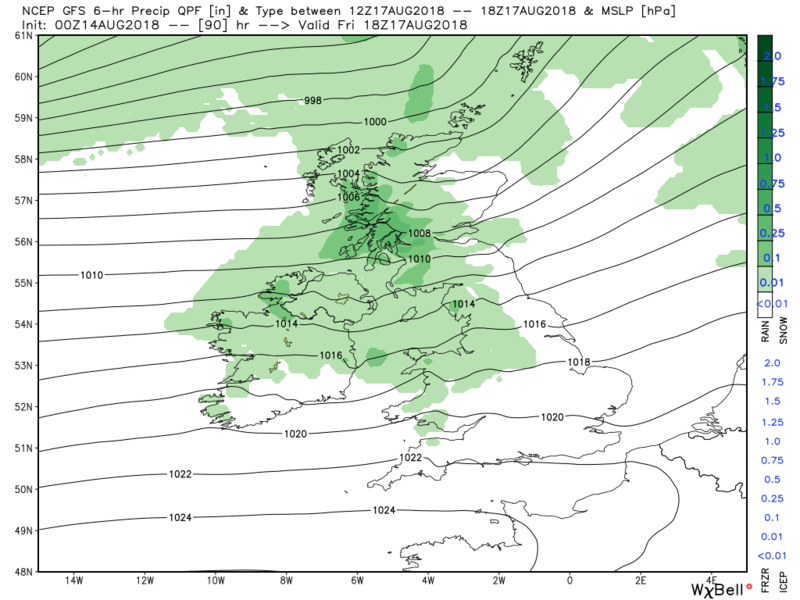 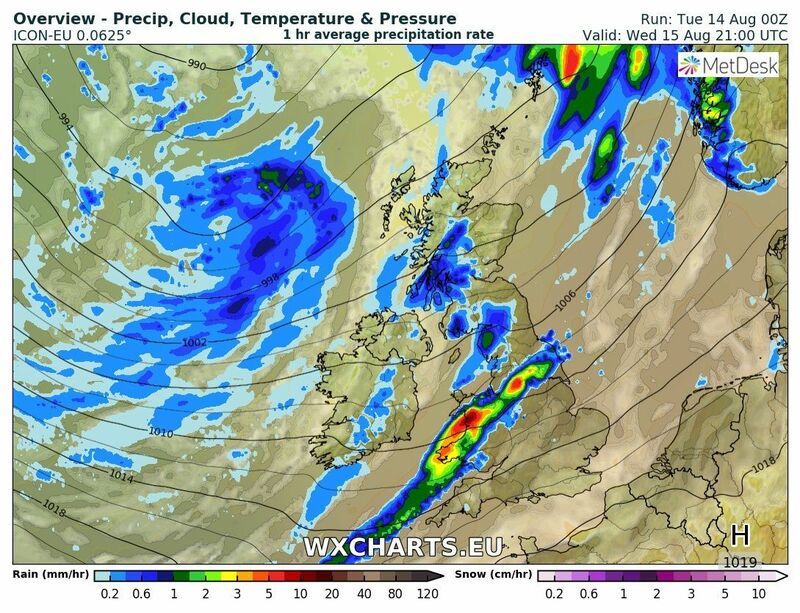 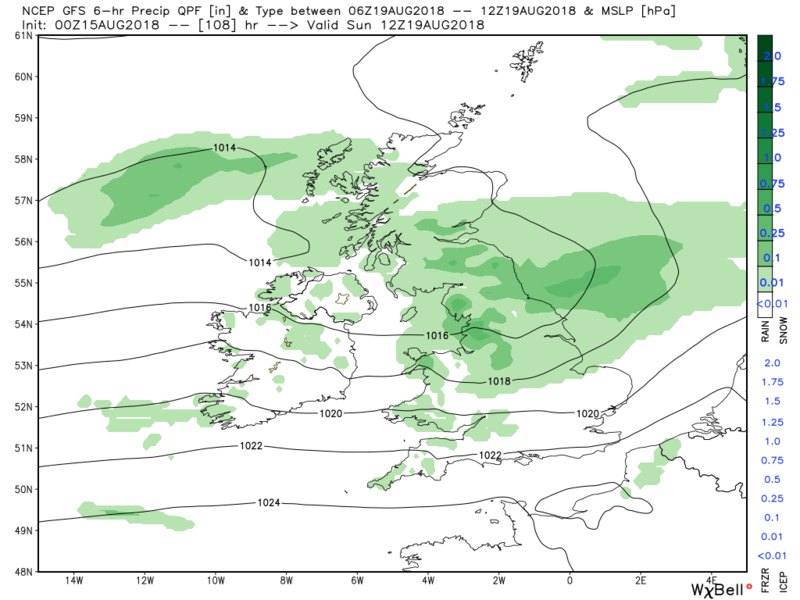 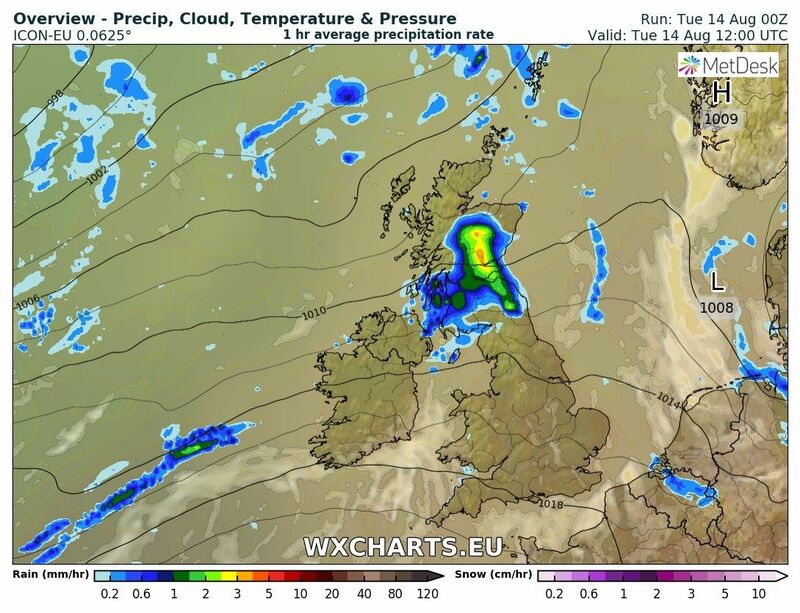 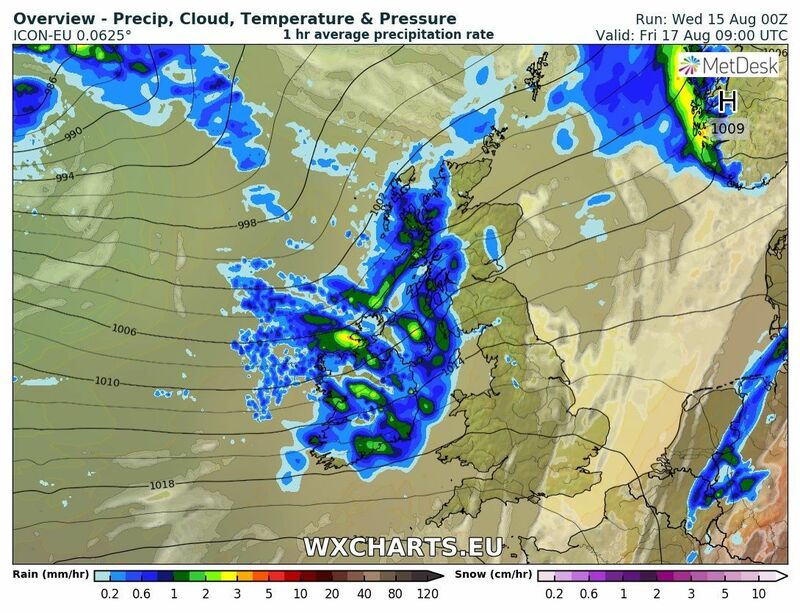 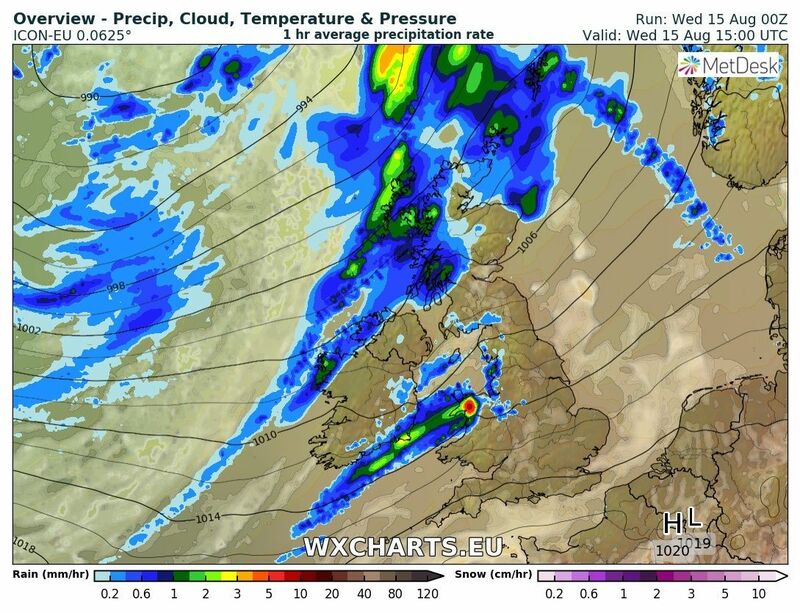 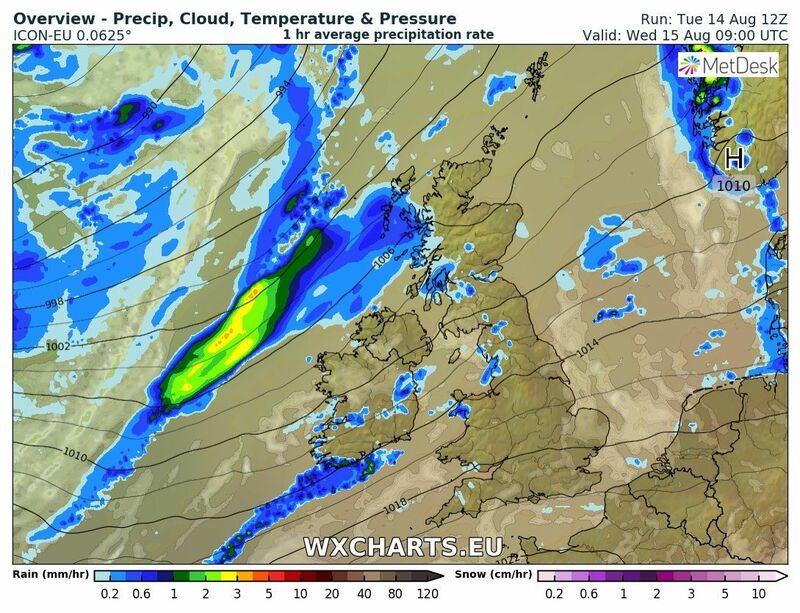 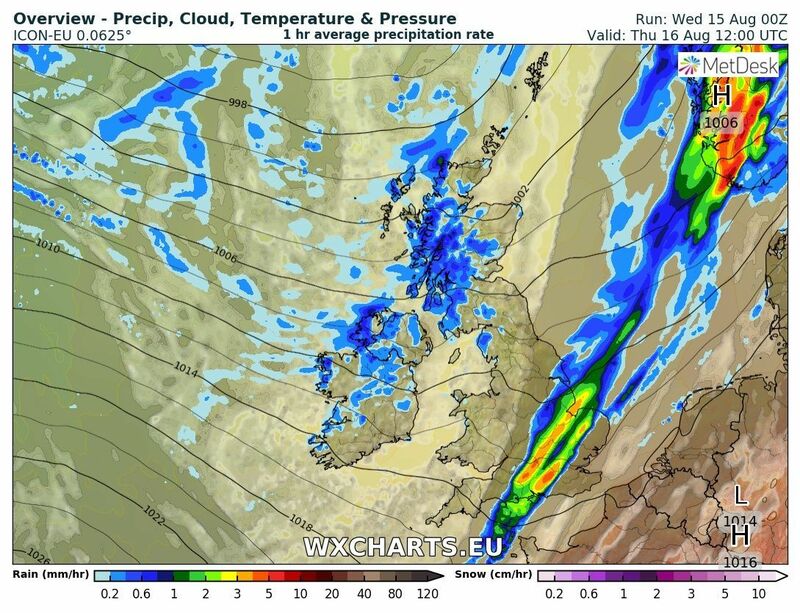 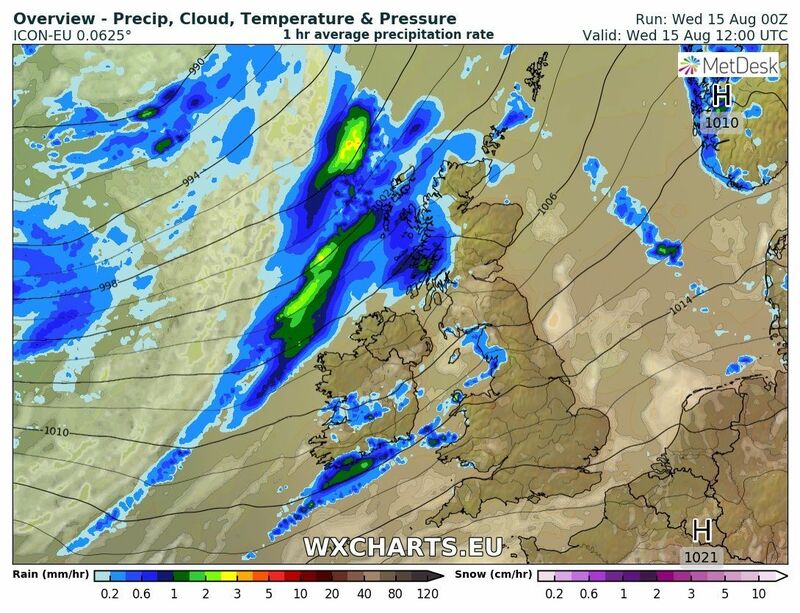 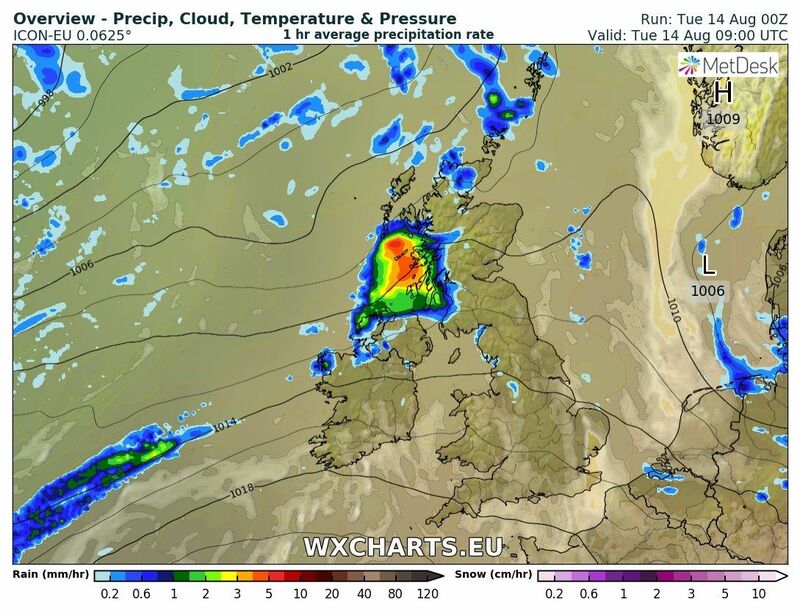 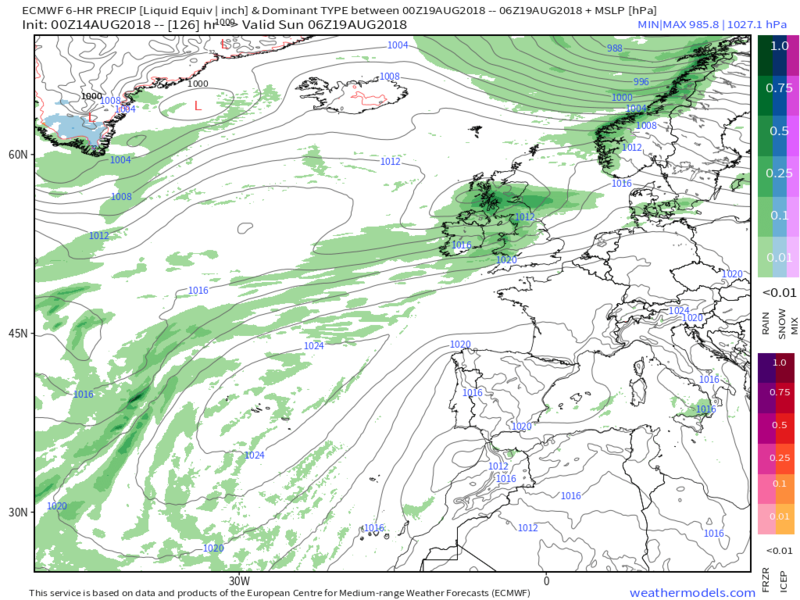 The story of the day really, cloudy with sunny intervals, but an area of rain will quickly impact N, Ireland and central Scotland as a small frontal system tracks north east leaving a cooler, showery regime in it's wake. 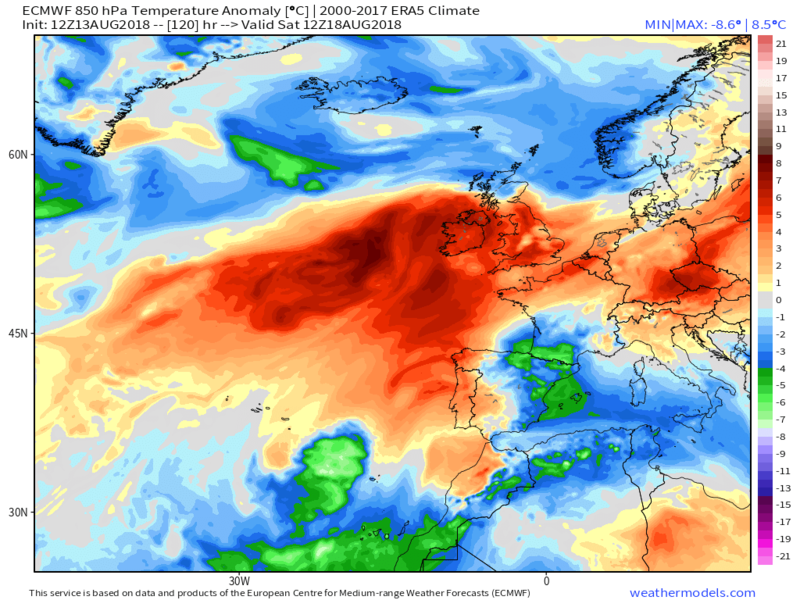 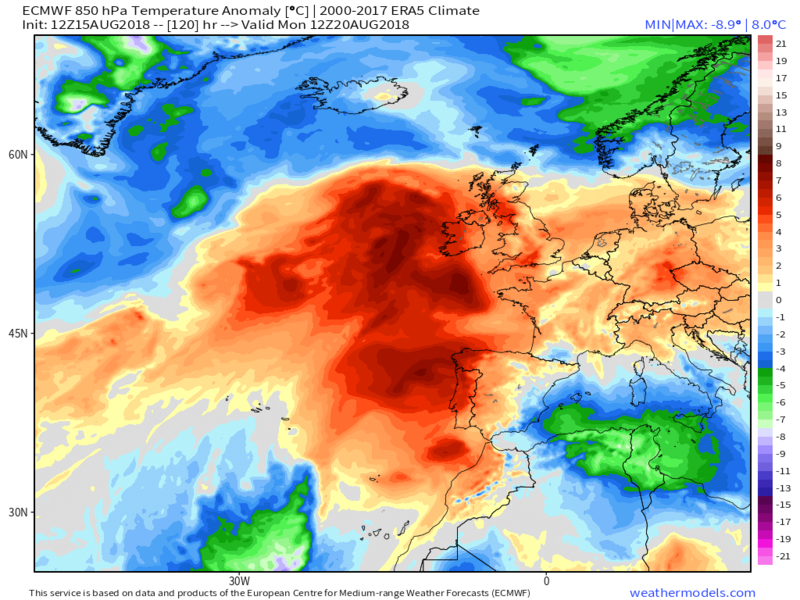 Drier and warmer in the south. 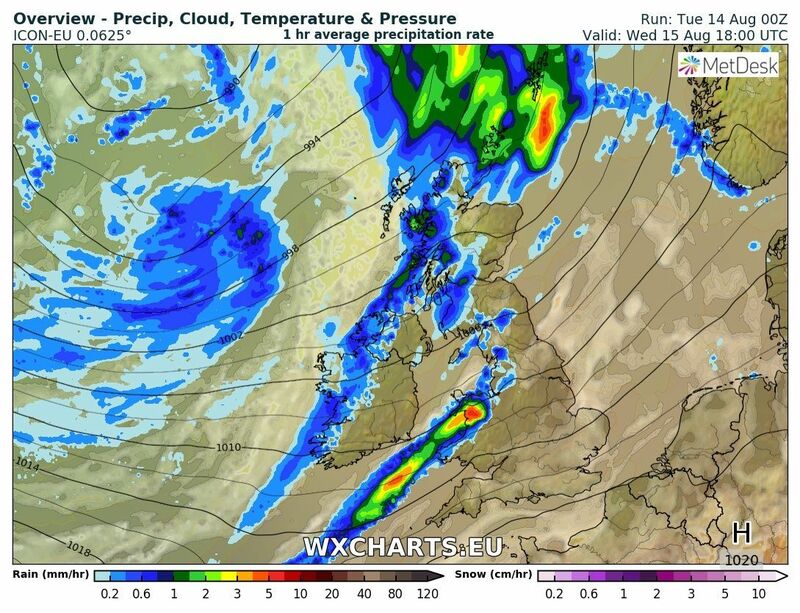 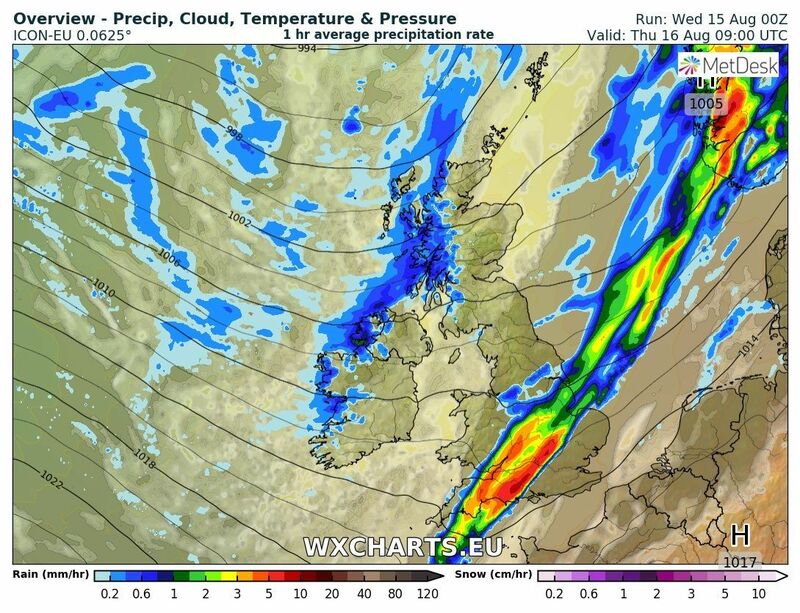 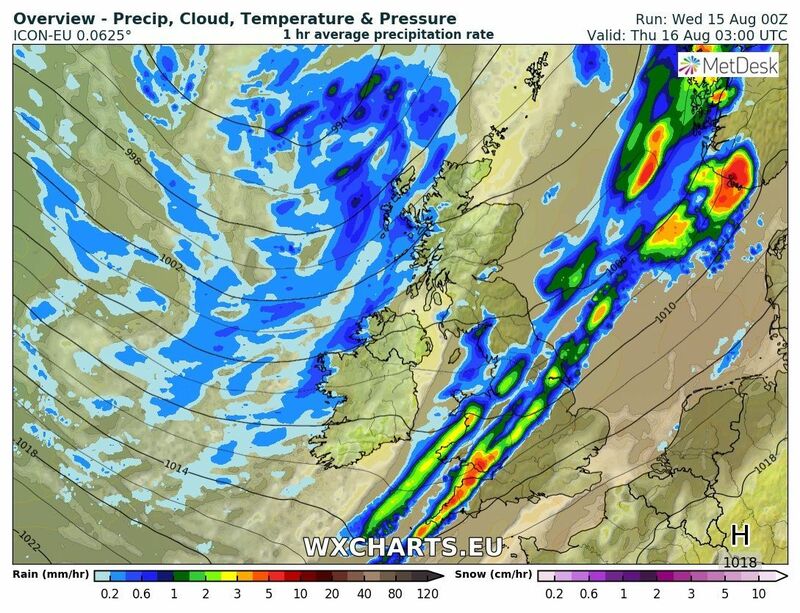 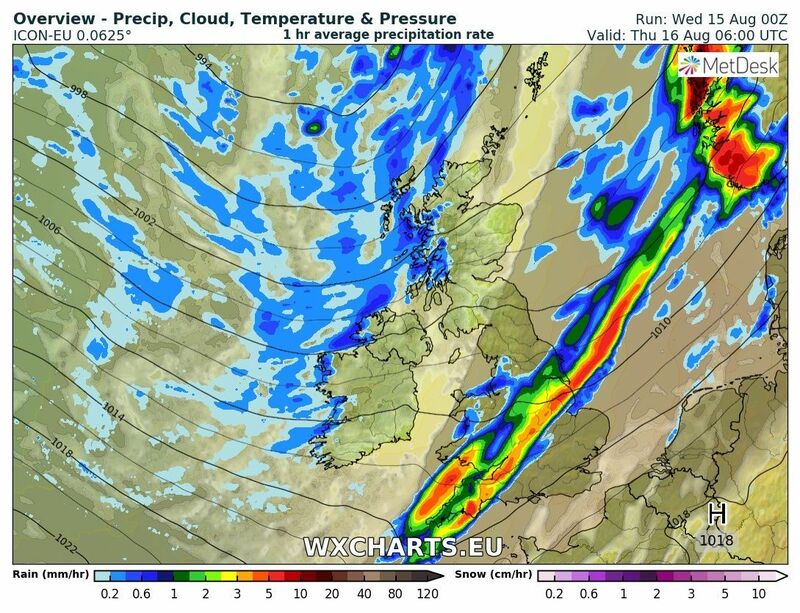 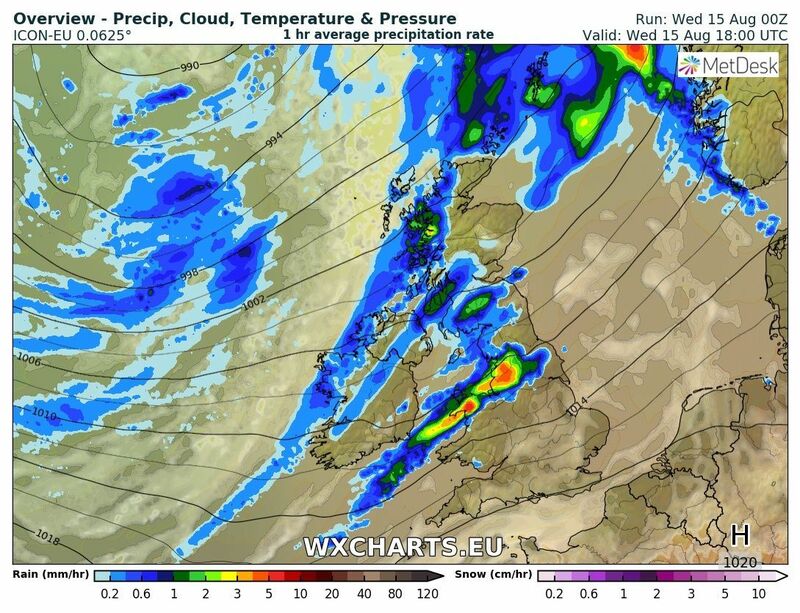 The front continues its journey overnight and through Thursday, clearing the south east by lunchtime, leaving much cooler air in it's wake with some quite hefty showers in the north and west on the quite strong NW/W wind. 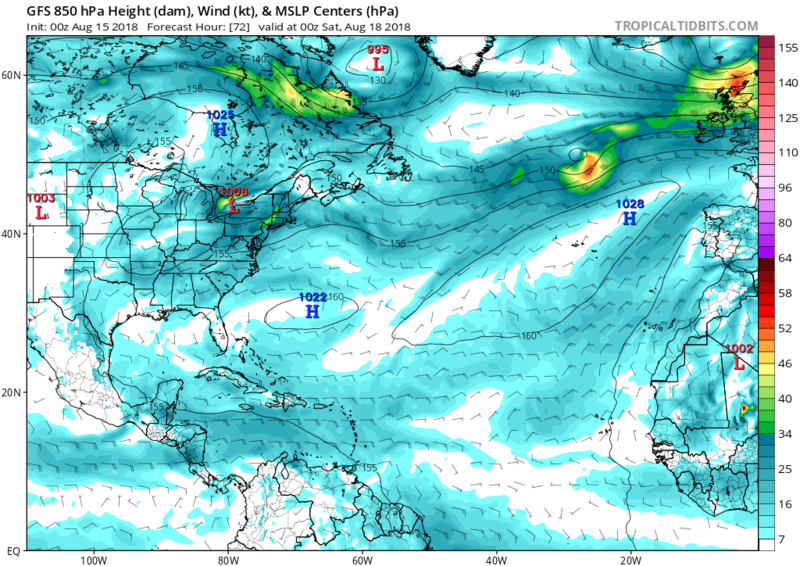 But all the while the next upper low is getting organized and about to track quickly east north of the jet ( pretty much as mentioned in the introduction). On the surface this results in a deepening surface low tracking rapidly east to be 978mb between Iceland and Scotland by 1200 on Friday with heavy rain and strong winds, possibly gale force for a time, effecting N. Ireland and Scotland. 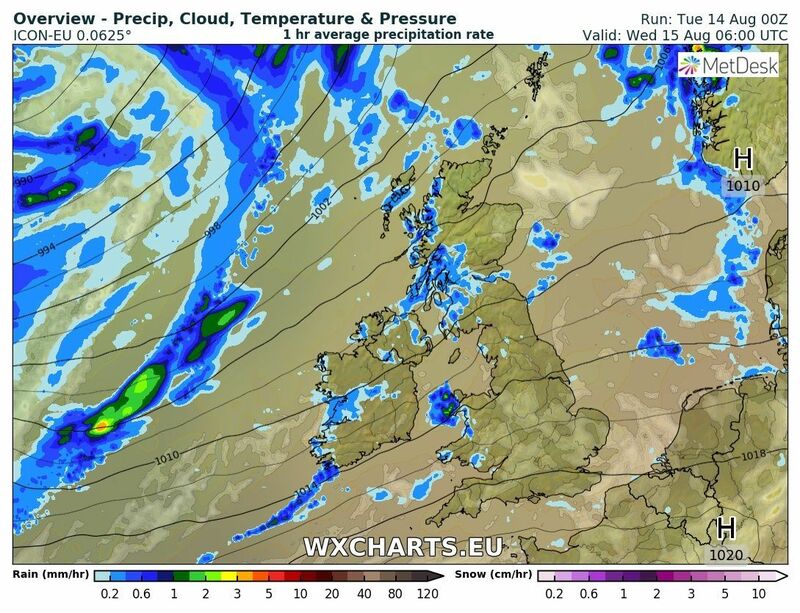 with the rain then reaching as far south as the north of England and N. Wales on a generally quite cool day. 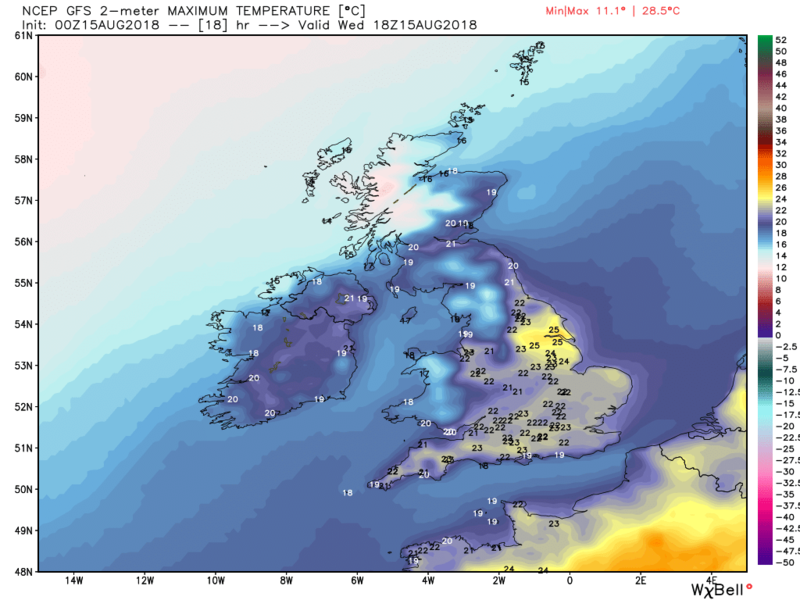 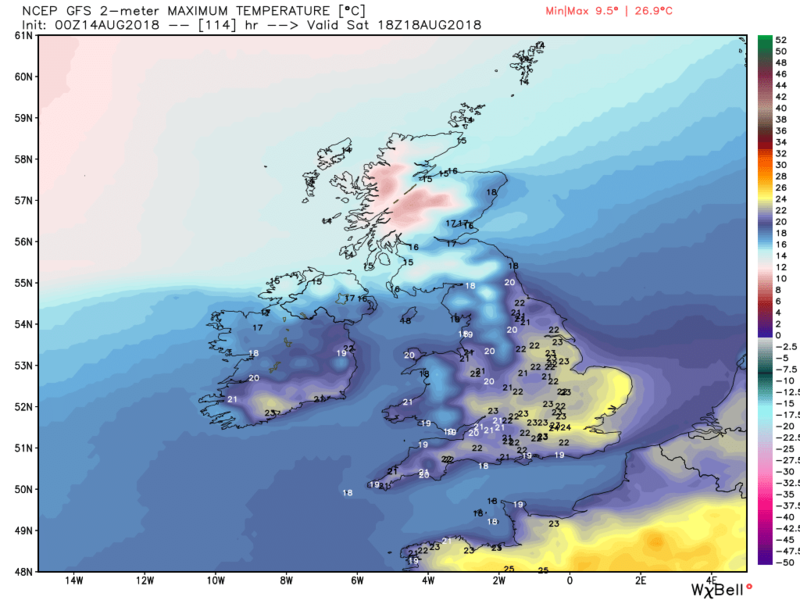 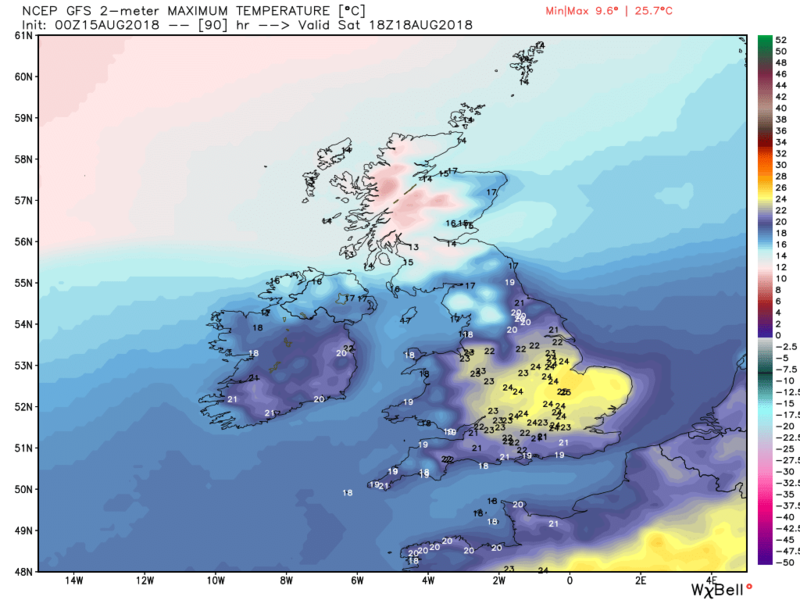 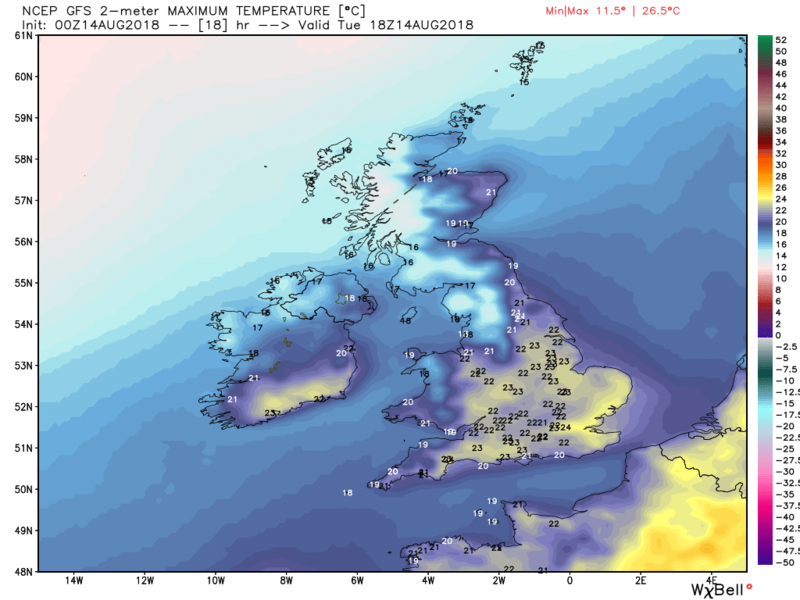 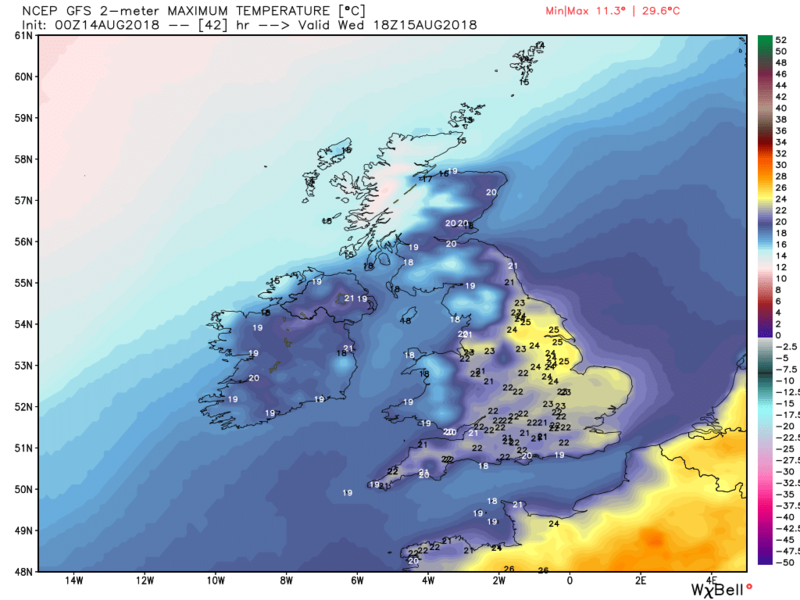 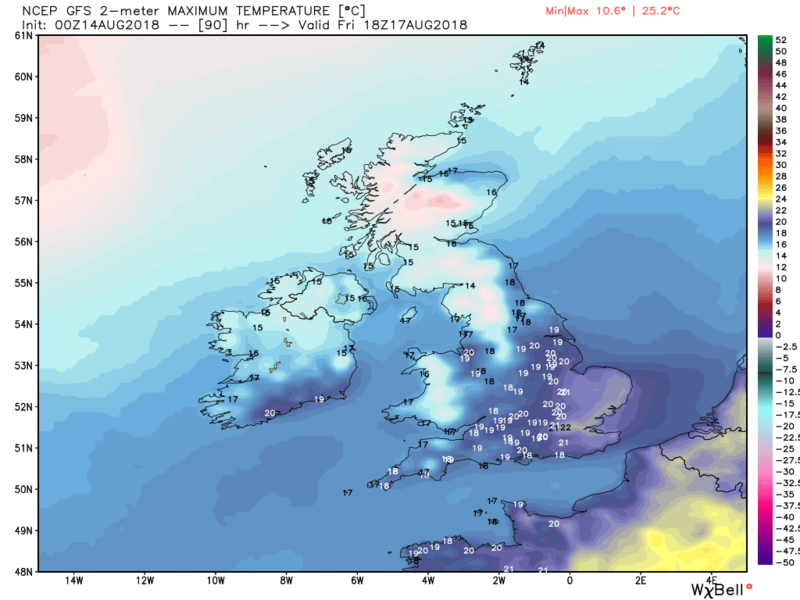 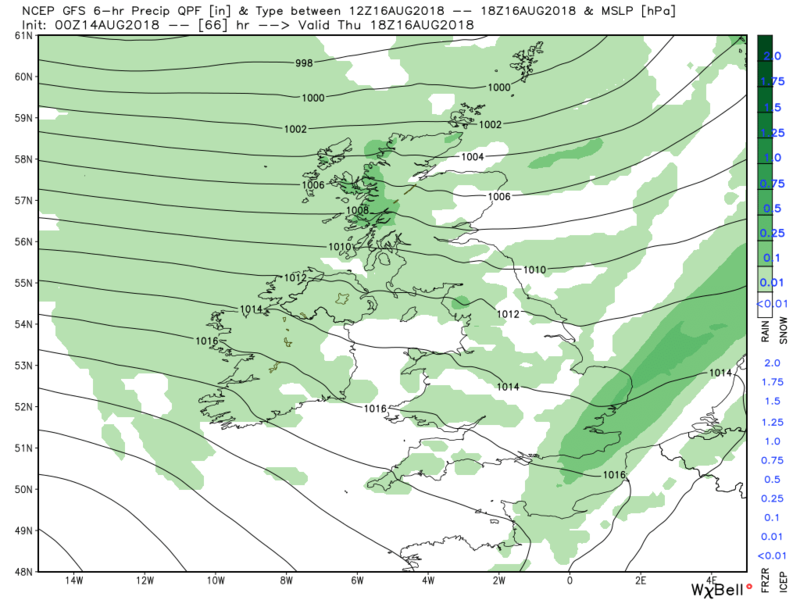 Quite a messy picture on Saturday as the low has scooted north but with other systems waiting in the wings to the west and a front straddling the country a brief, cooler and showery in the north and cloudy and warmer in the south, description will have to suffice. 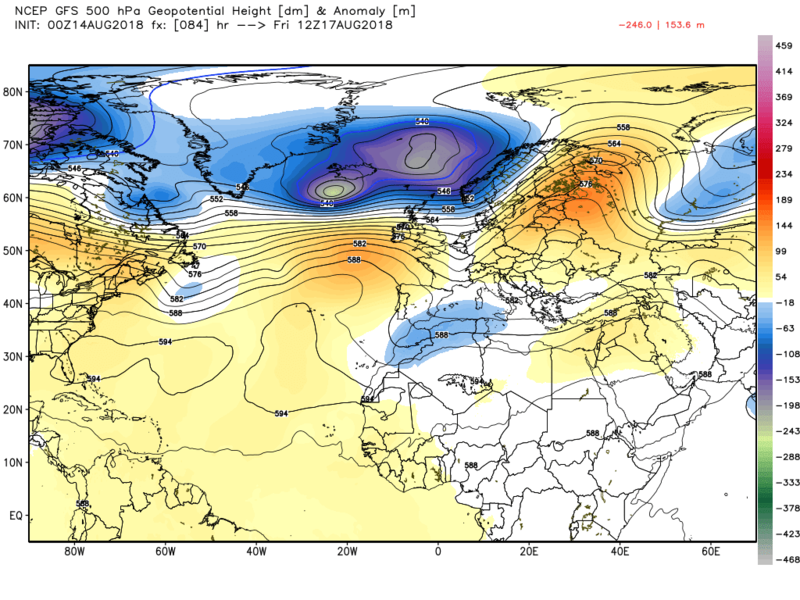 And the NH profile for T120 which is just about where we came in. 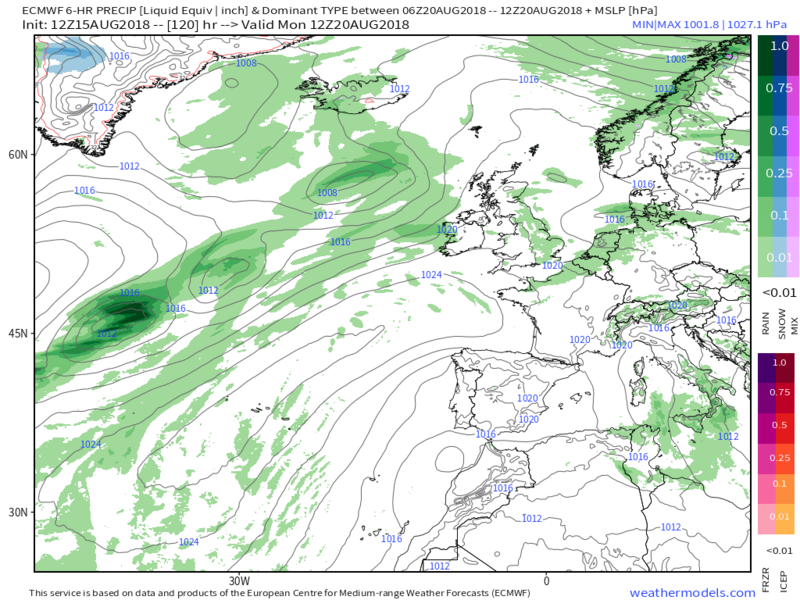 The ecm take for the end of the week finds the low 981mb south of Iceland with associated fronts and strong winds already effecting the north west at 1200 on Friday. 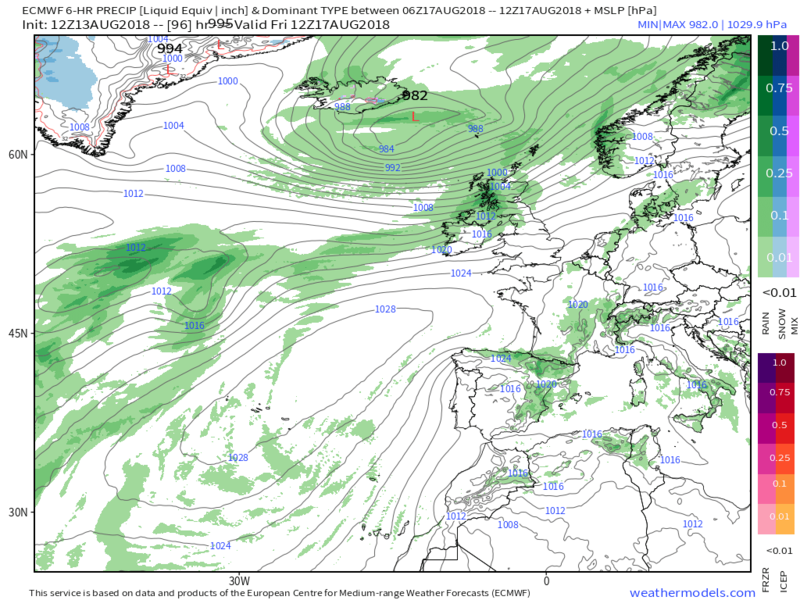 These quickly clear before a wave arrives over the same area and the west by 00 Sunday.The south/ south east remaining relatively dry and less windy. 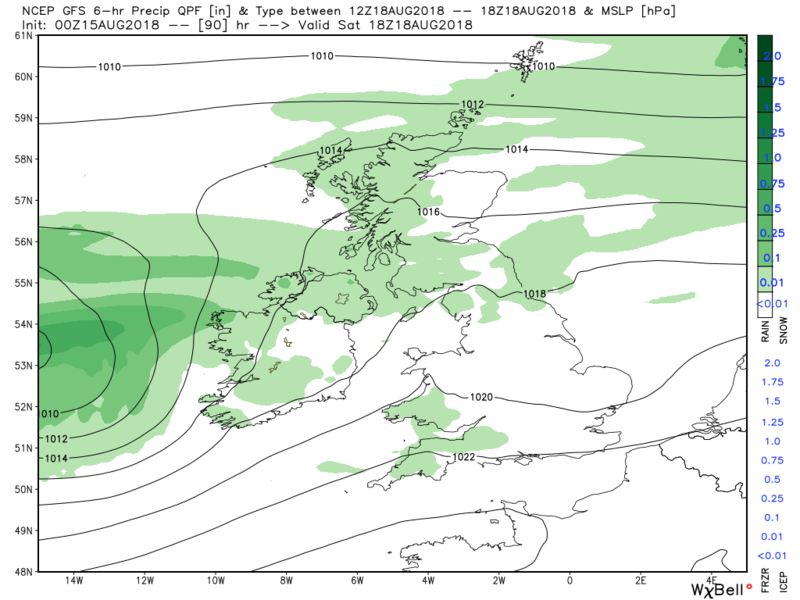 The front(s) will continue to track south east overnight and through Thursday and there could well be some moderate rain in the areas along the track, before clearing the south coast by early evening. 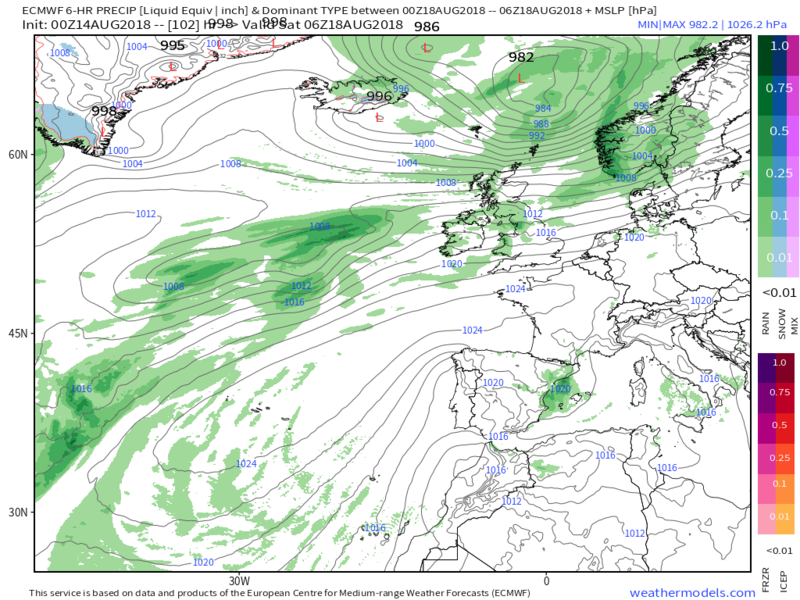 The passage of the fronts introduces much cooler, unstable, air in it;s wake resulting in frequent showers that could well be quite substantial in the north west as embedded troughs within the circulation of the main low pass through. 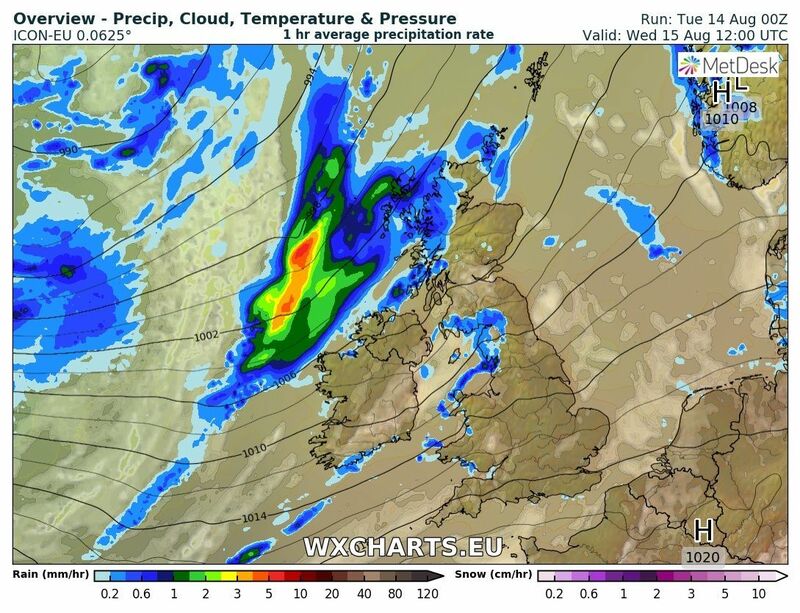 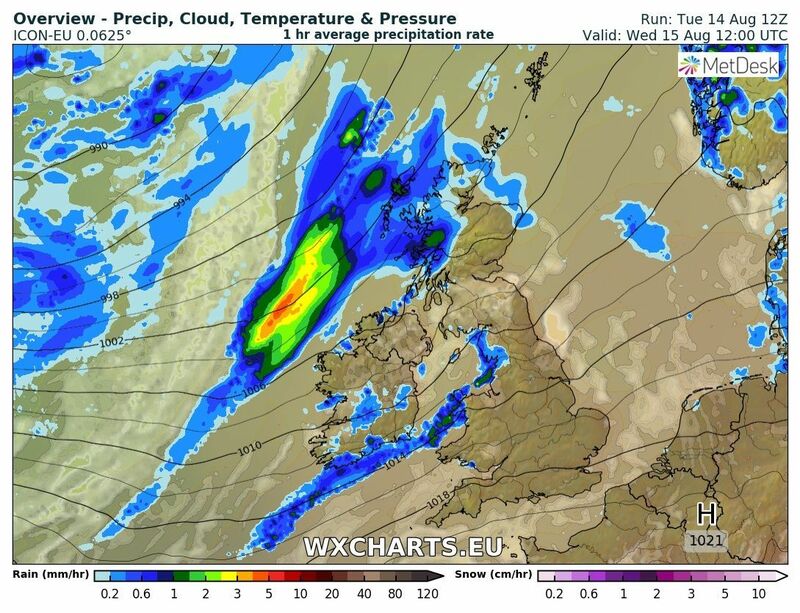 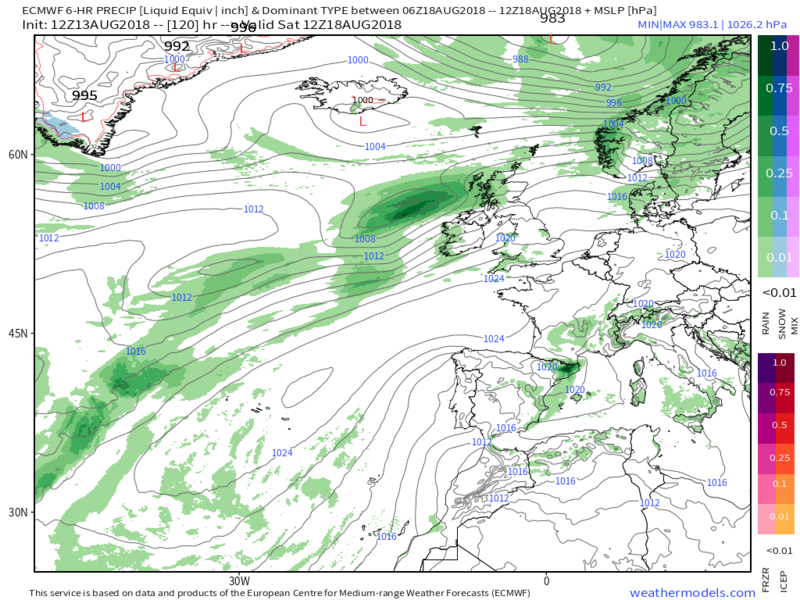 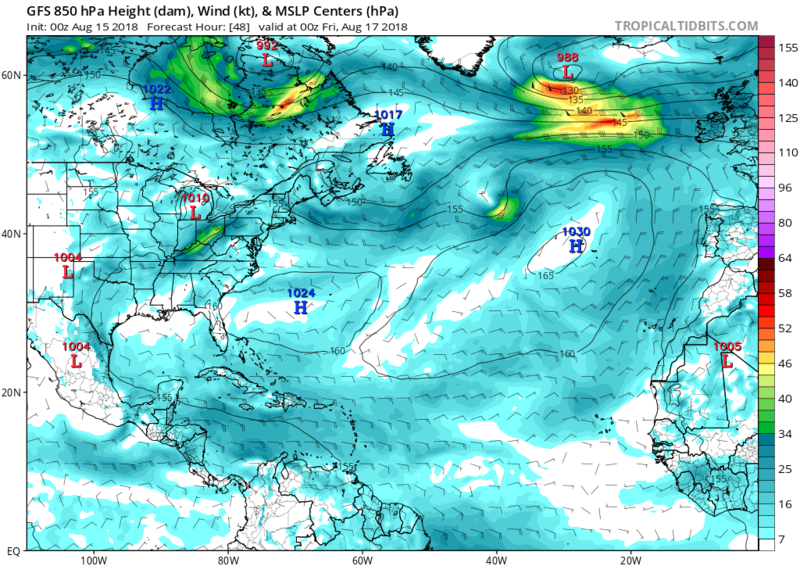 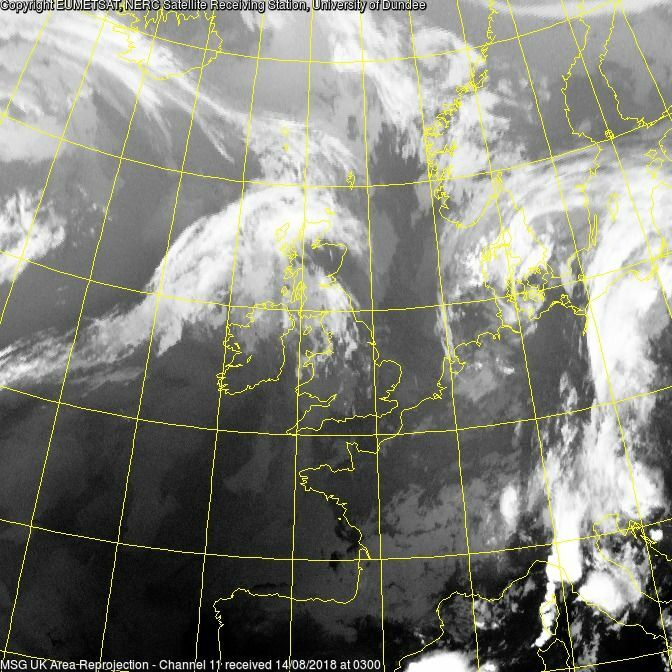 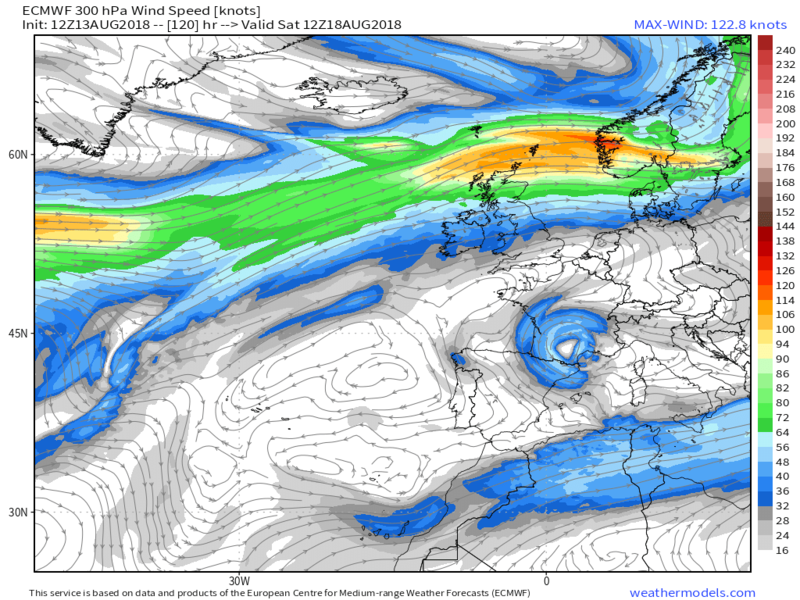 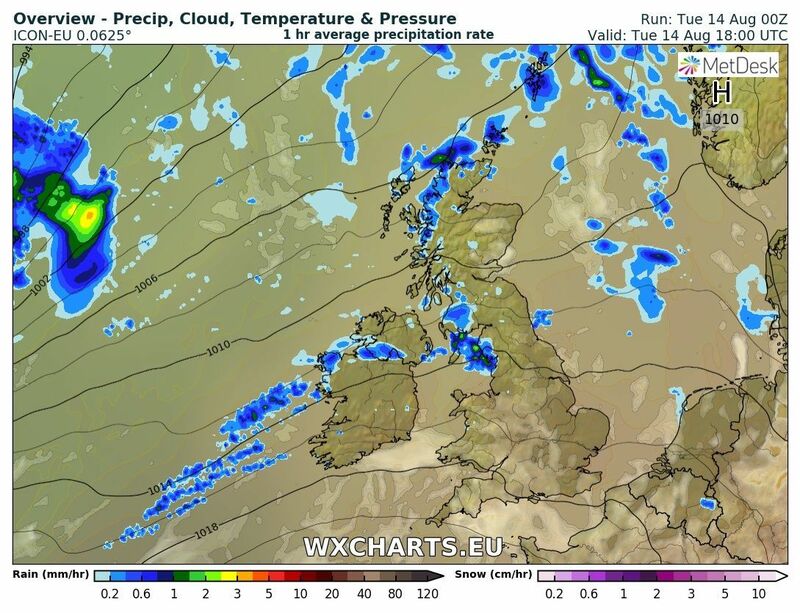 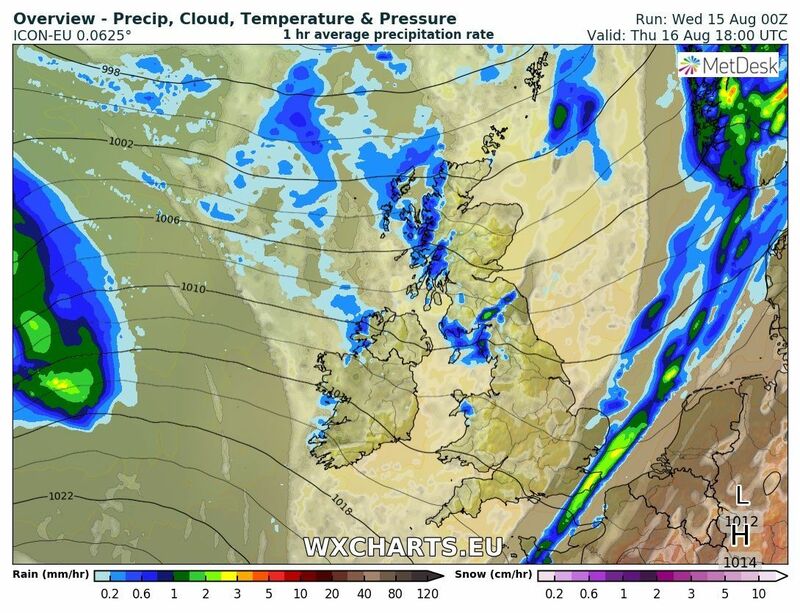 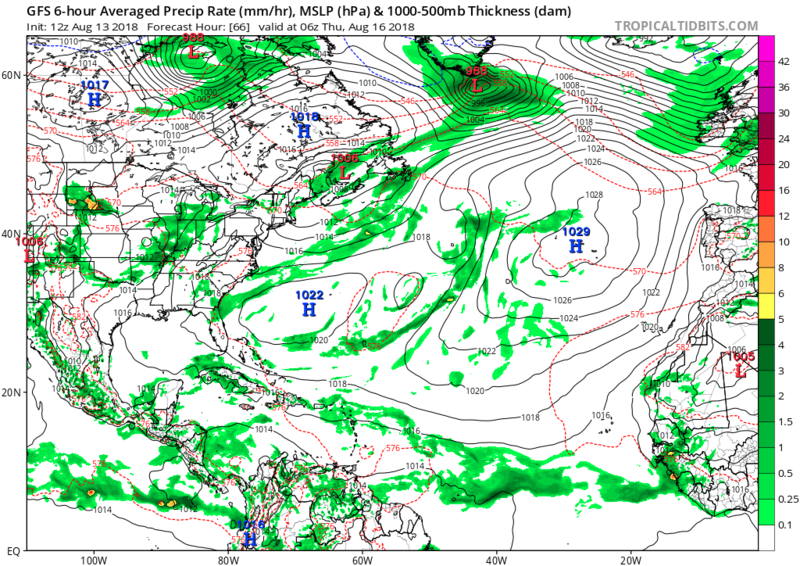 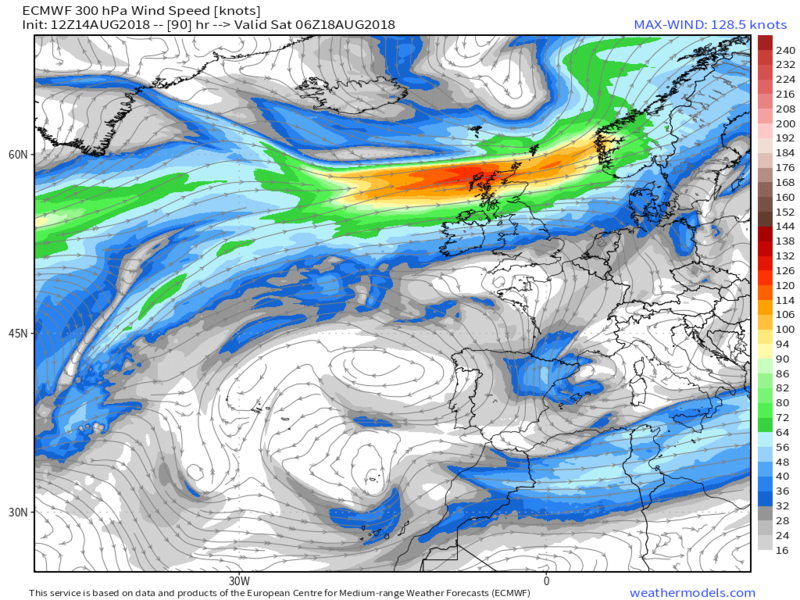 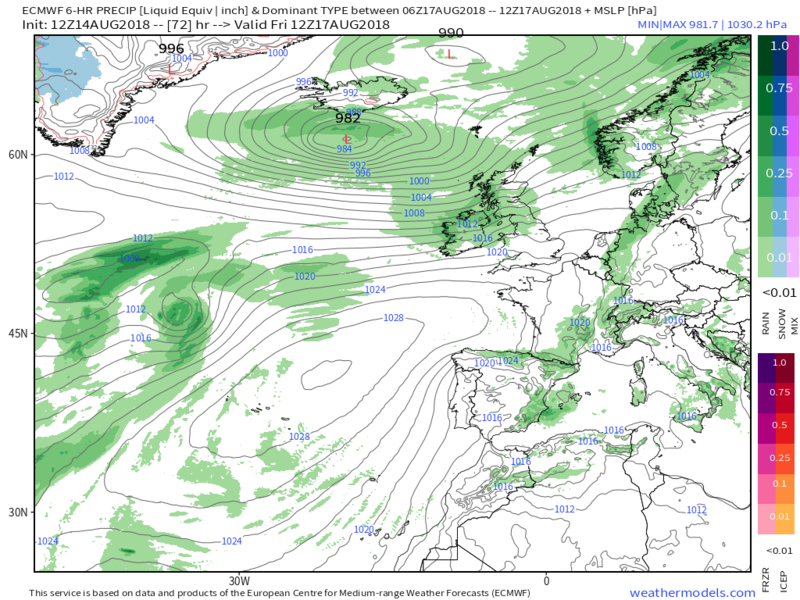 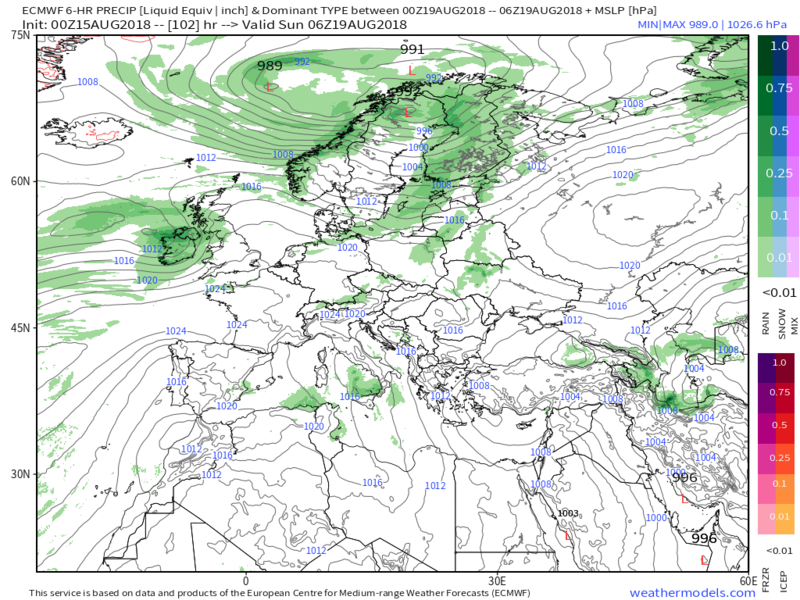 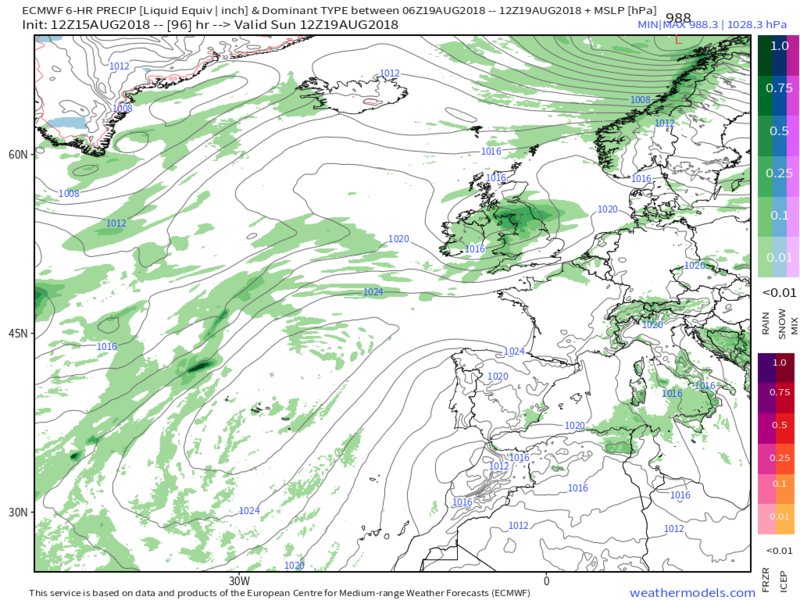 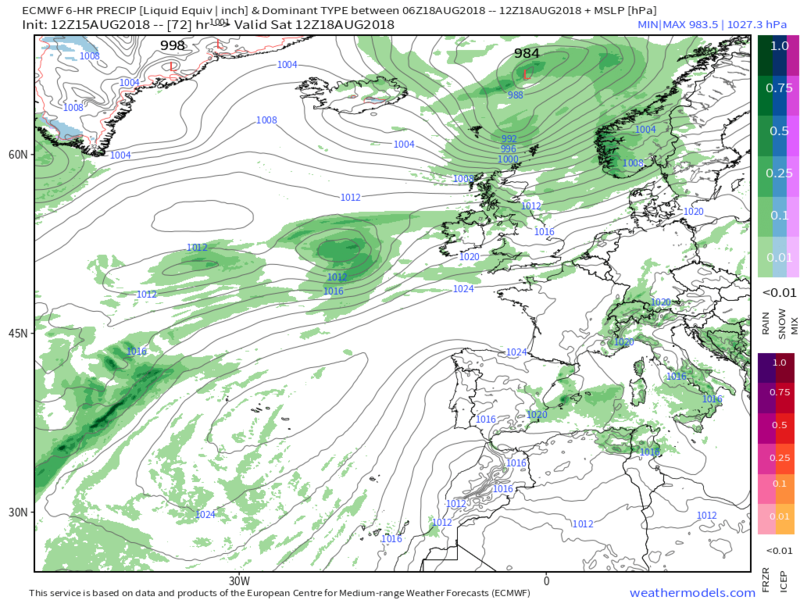 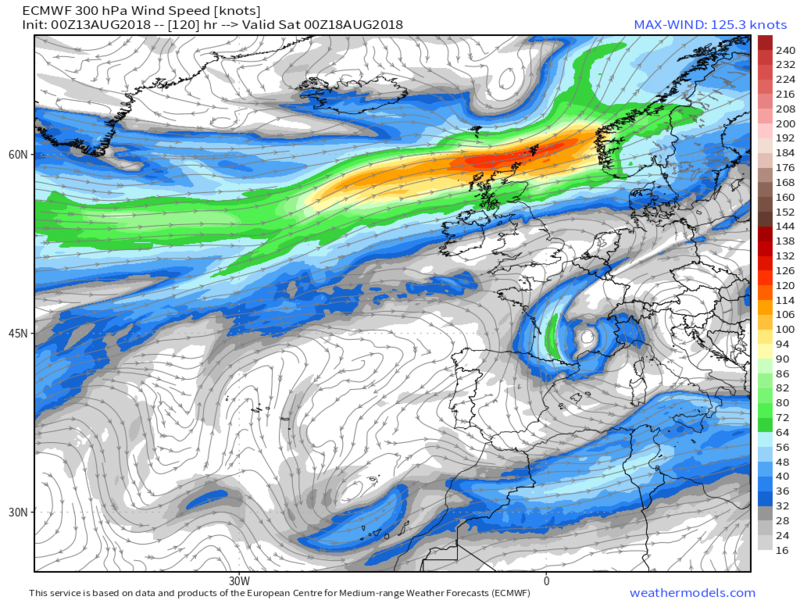 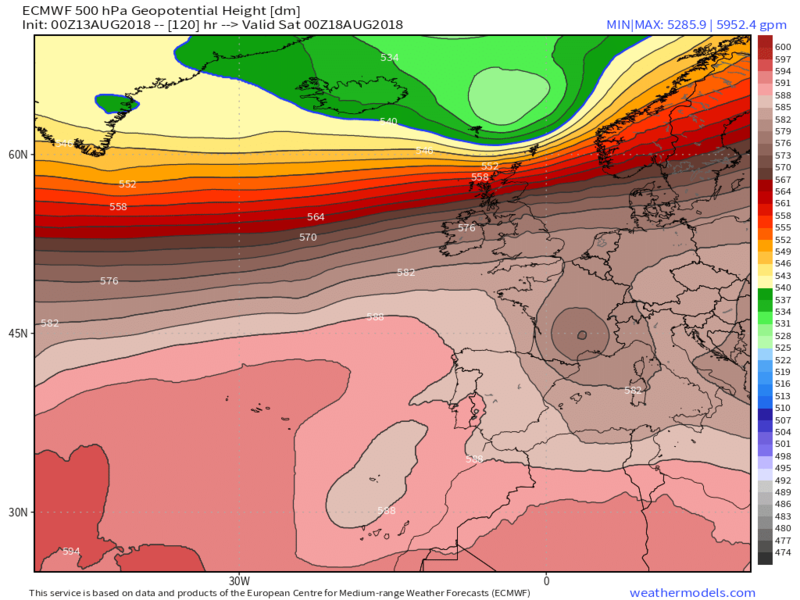 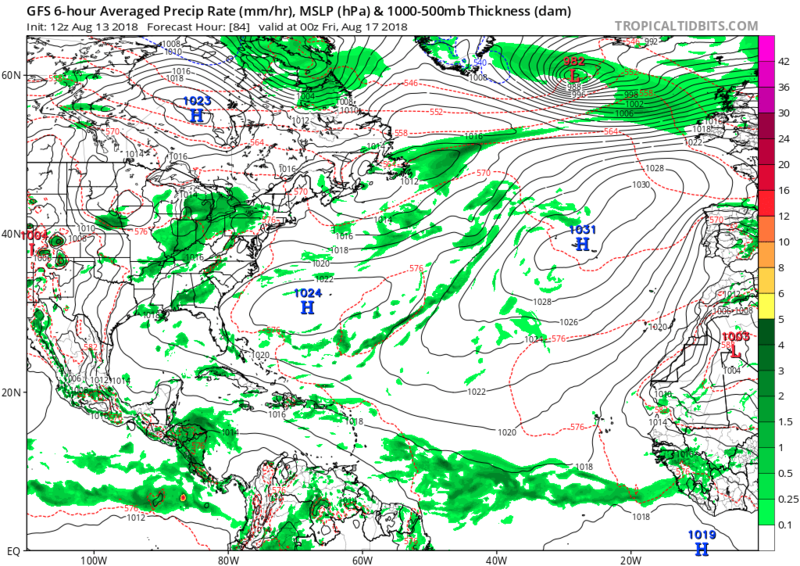 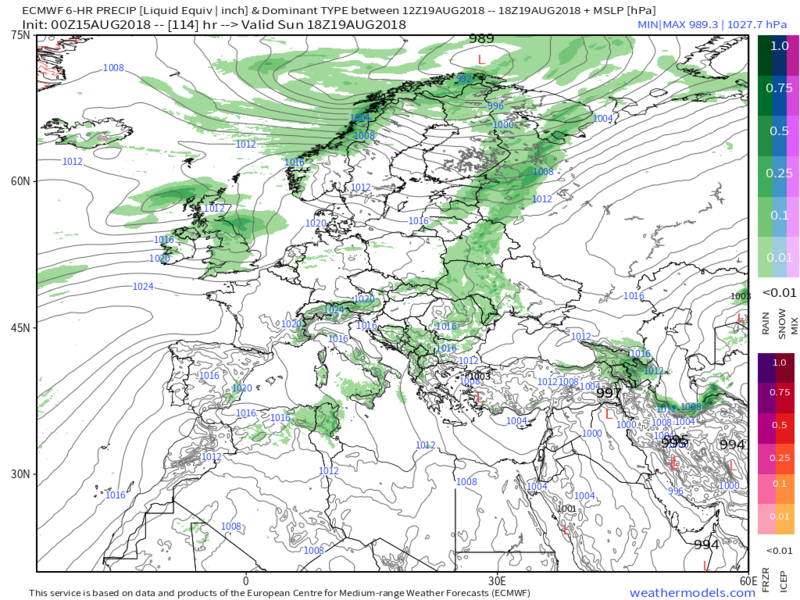 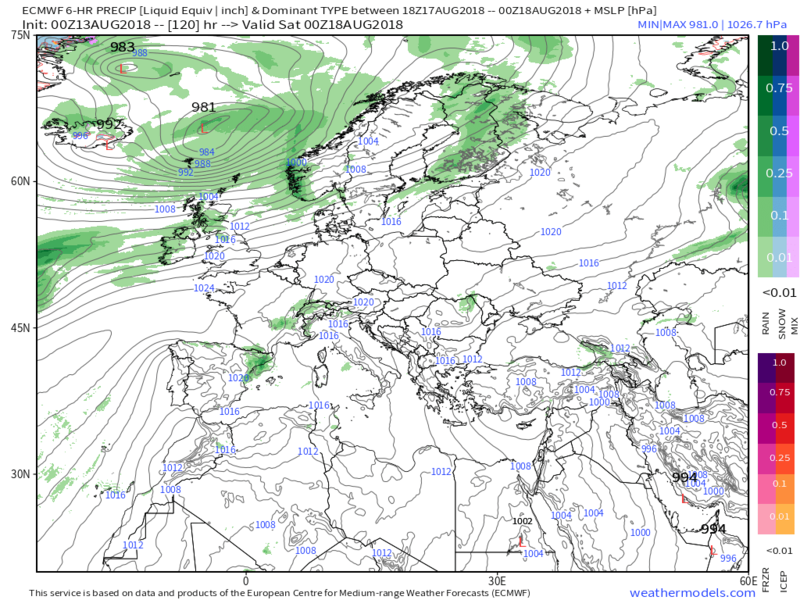 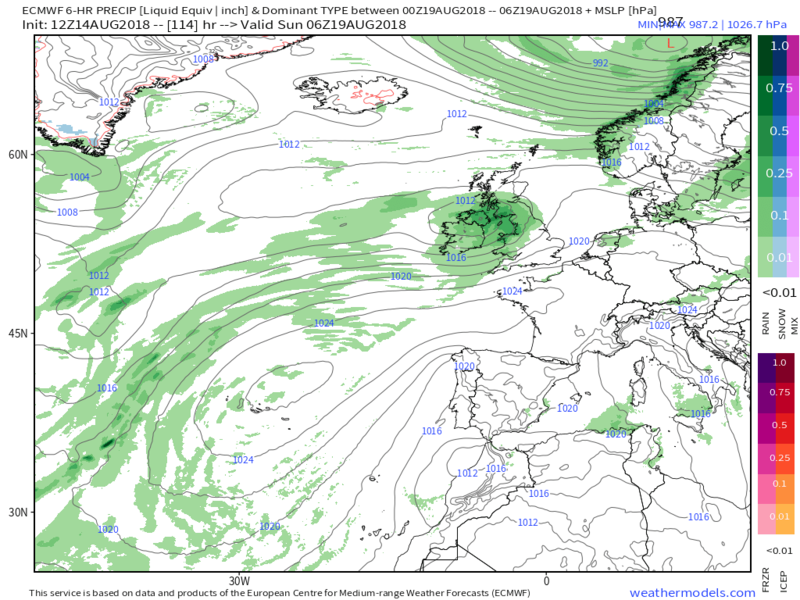 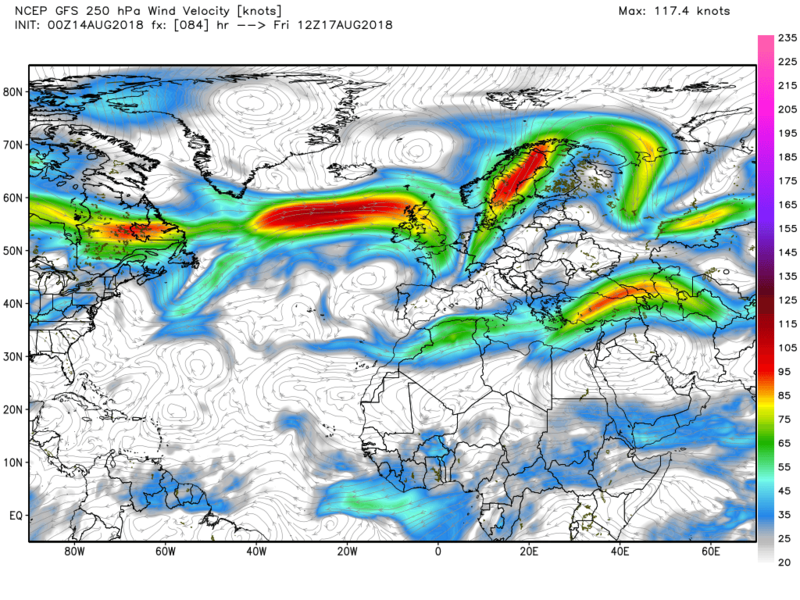 The showers will continue overnight in Scotland but, keeping in mind the opening charts of the post, a deepening depression tracks rapidly east on the jet and is 983mb south of Iceland by 1200 Friday with the associated fronts bringing strong winds and rain to the north and west of the country. 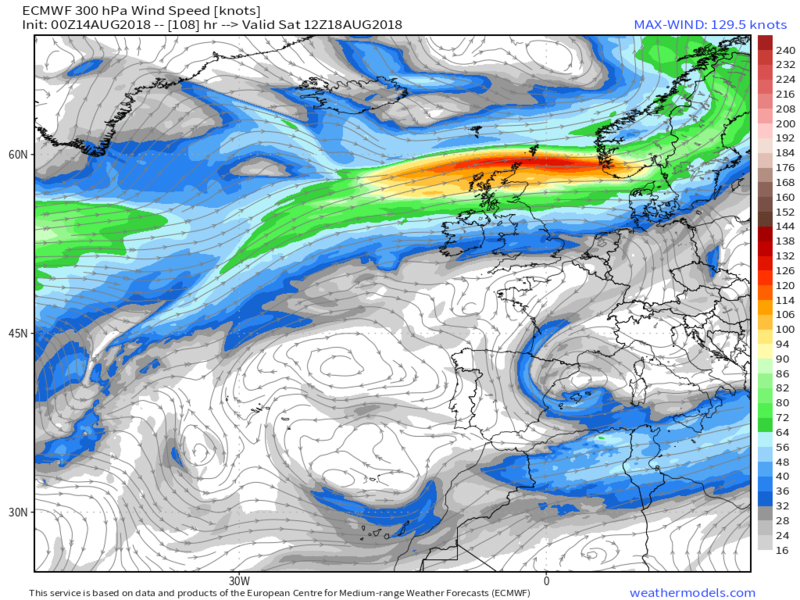 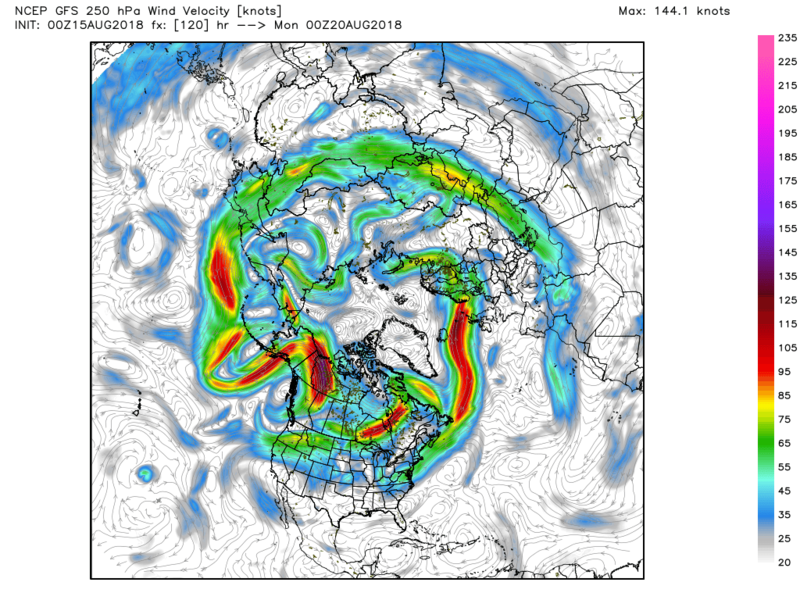 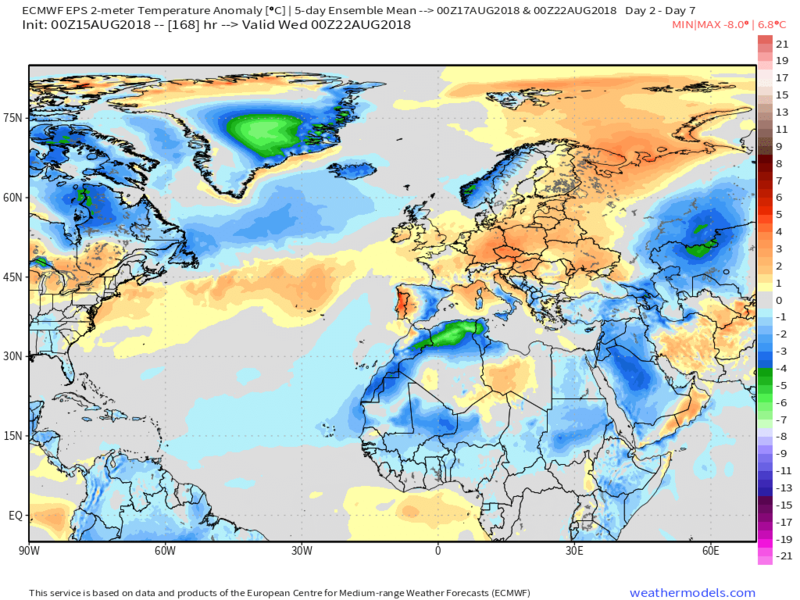 The scenario over the weekend is quite complex, albeit fairly quiet, as a waving front trails from the low, now over Scandinavia, down through the UK and out into the Atlantic. 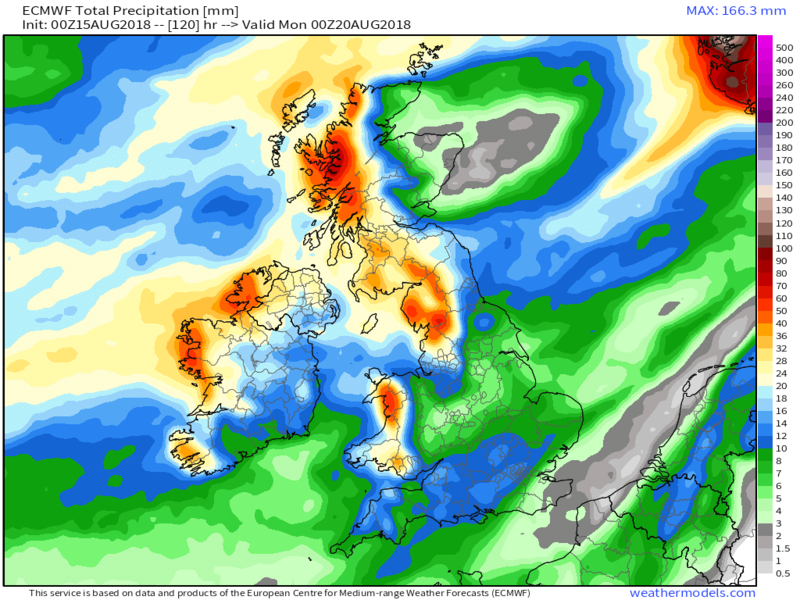 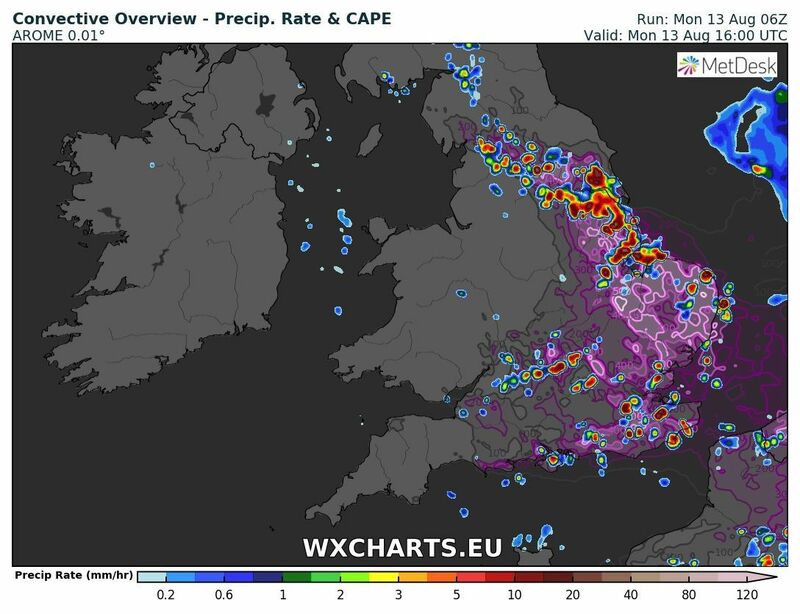 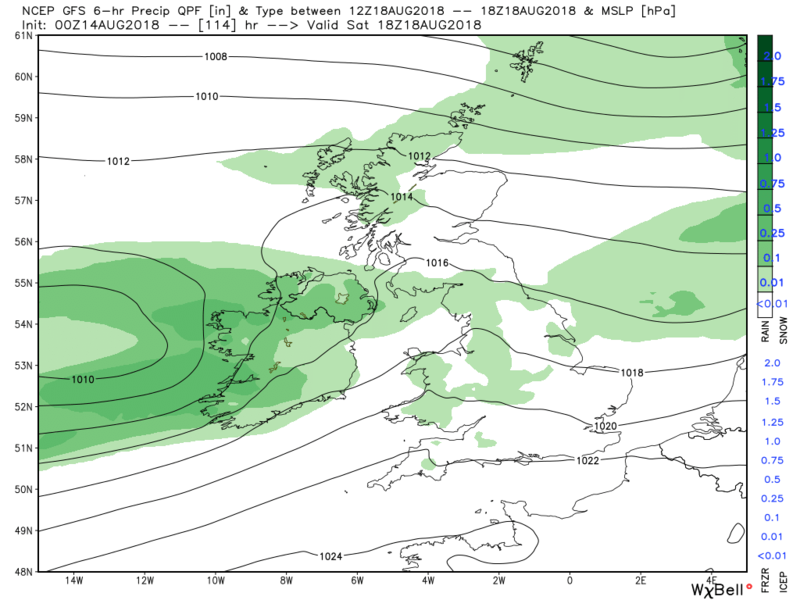 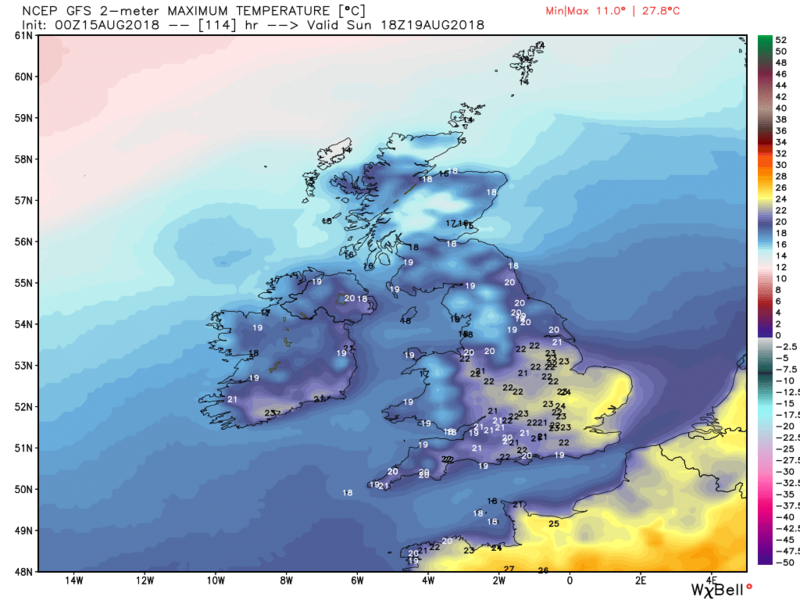 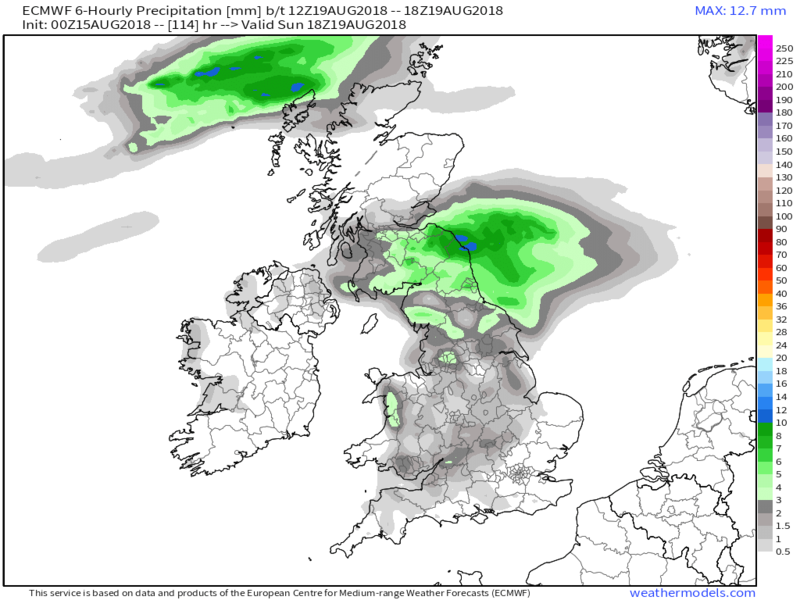 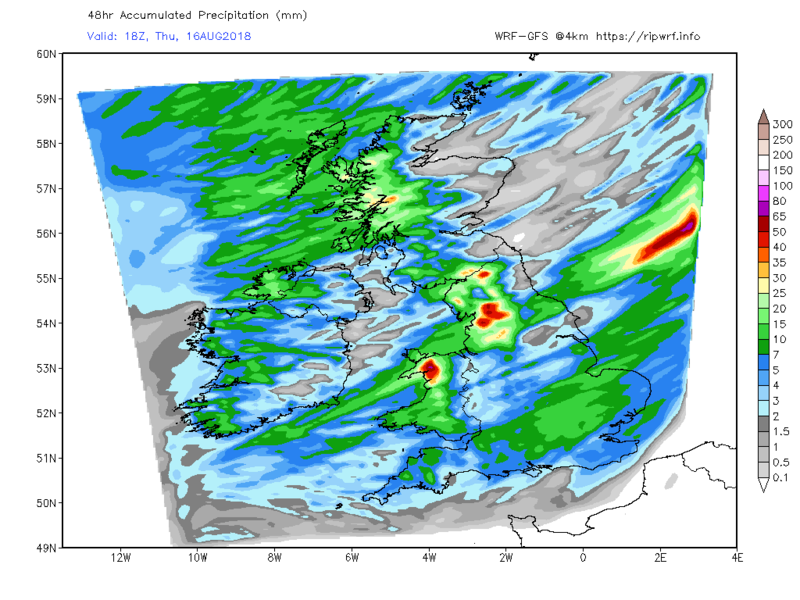 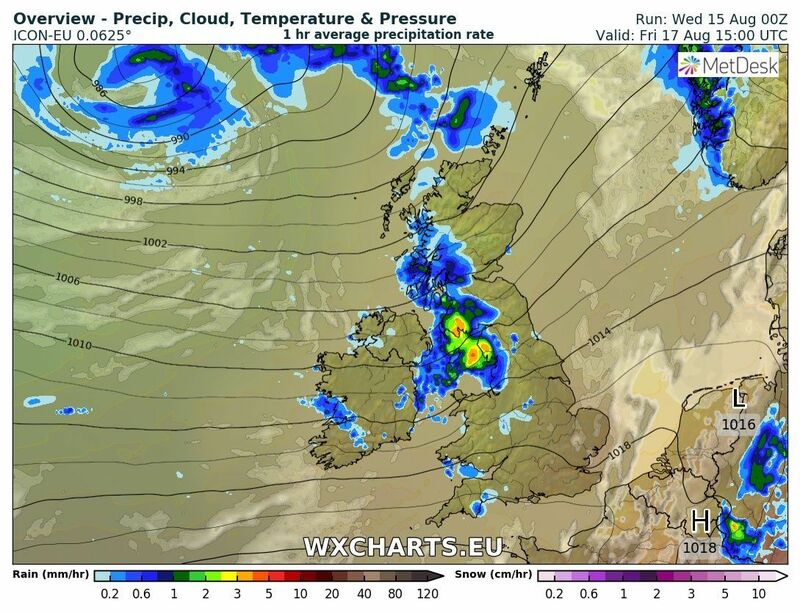 One such wave will bring showery rain across an area north of the Midlands through late Saturday and through Sunday whilst it will be quite warm in the south east.